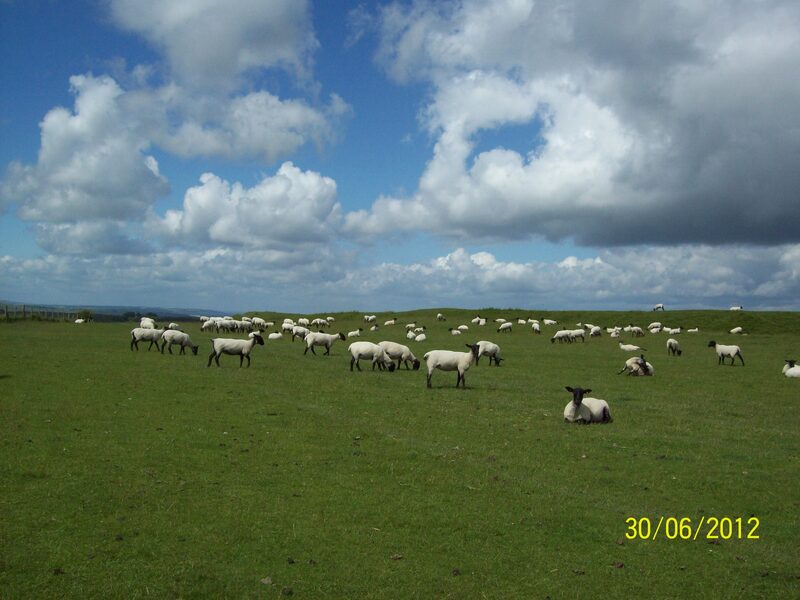 Fluffy clouds with fluffy sheep taken during the lambing season on the Ridgeway in the South of England. 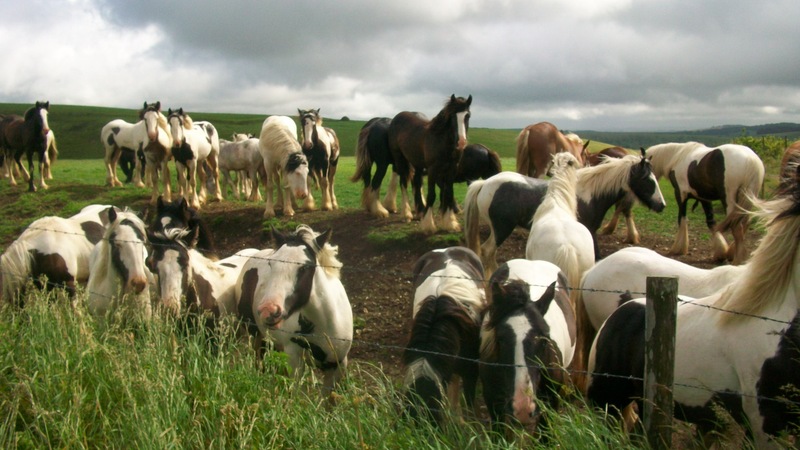 A field full of horses came over to greet us! 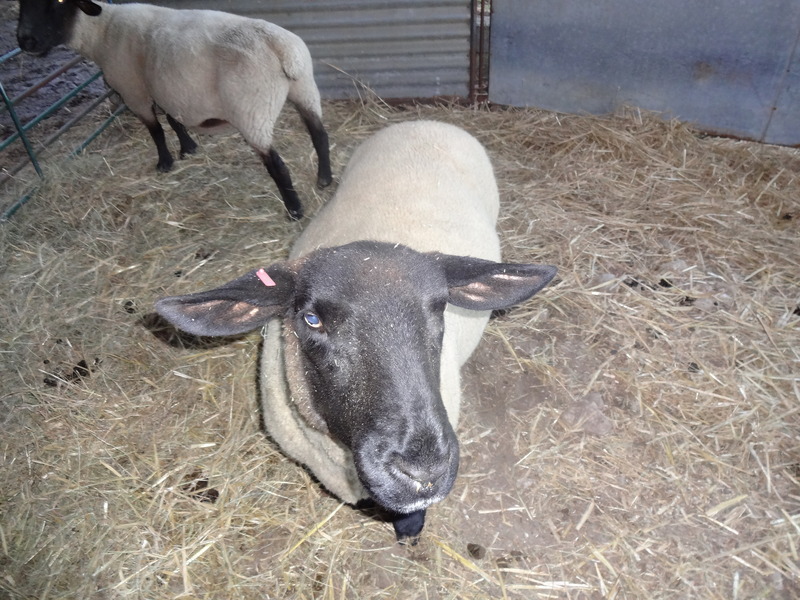 ..and as bucolic as the sheep country is, horses are so much more fascinating with their welcoming curiosity. And finally, feeding time at the Swayambhuneth Temple, Kathmandu. 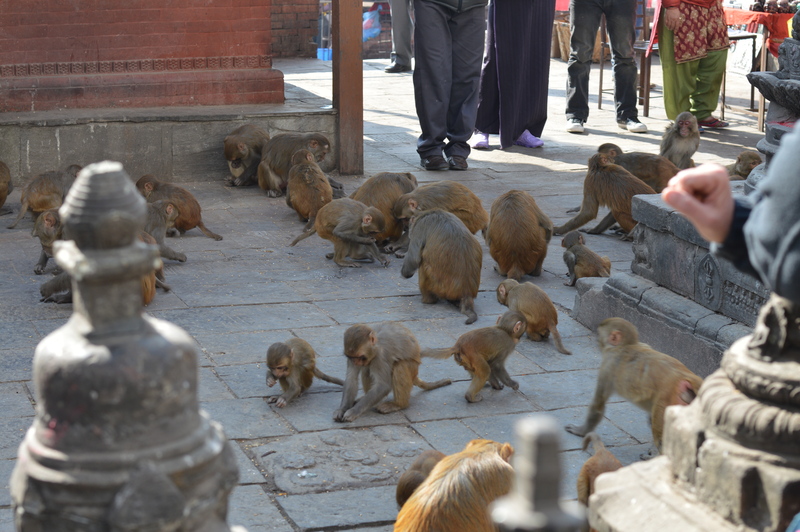 Its called monkey temple for a reason, and you really don’t want to get in their way! If day one and day two were about a London riverside in development, day three was about a riverside that belongs to tourists, and the day started as it meant to go on with at least five different “river fun runs” underway. It didn’t help that it was a Sunday either. 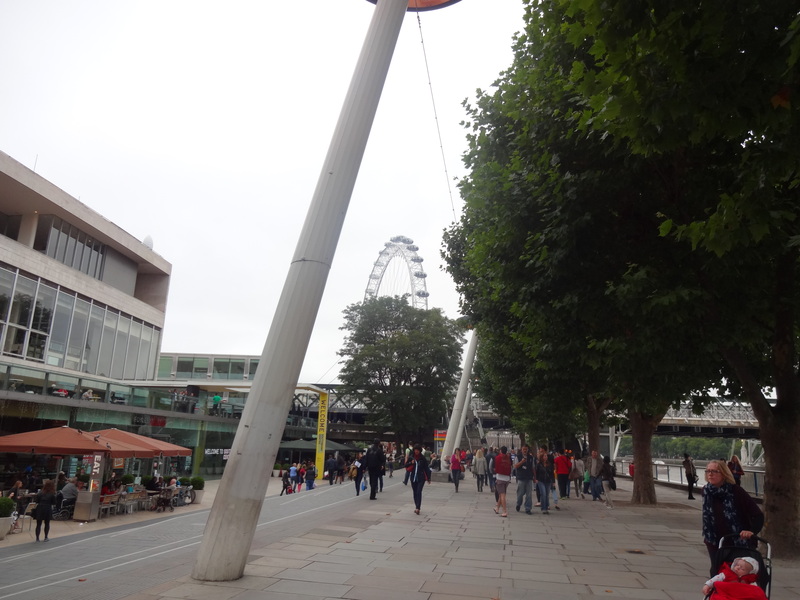 Crowds of tourists of all nationalities, strings and strings of riverside runners, and hustle and bustle. 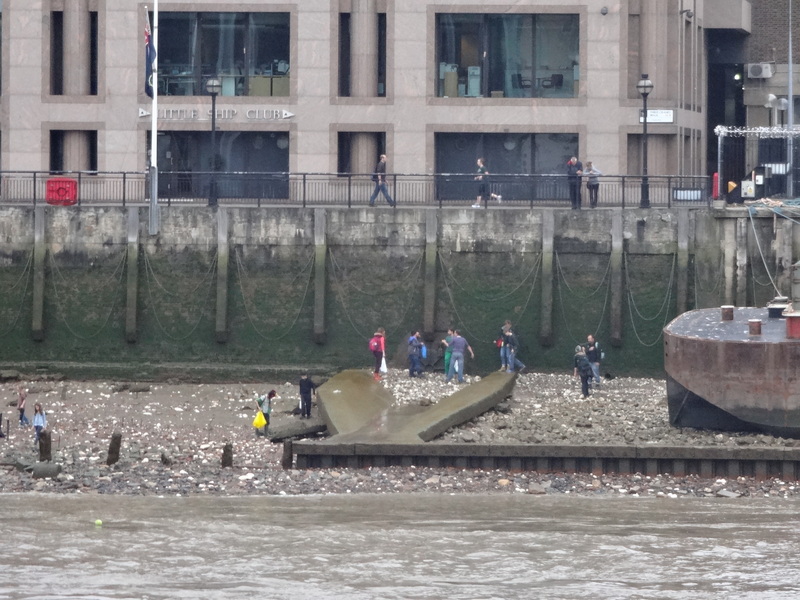 This wasn’t the Thames that we saw the day before. It took some negotiation to make our way along the riverside at this point. So many runners and tourists! 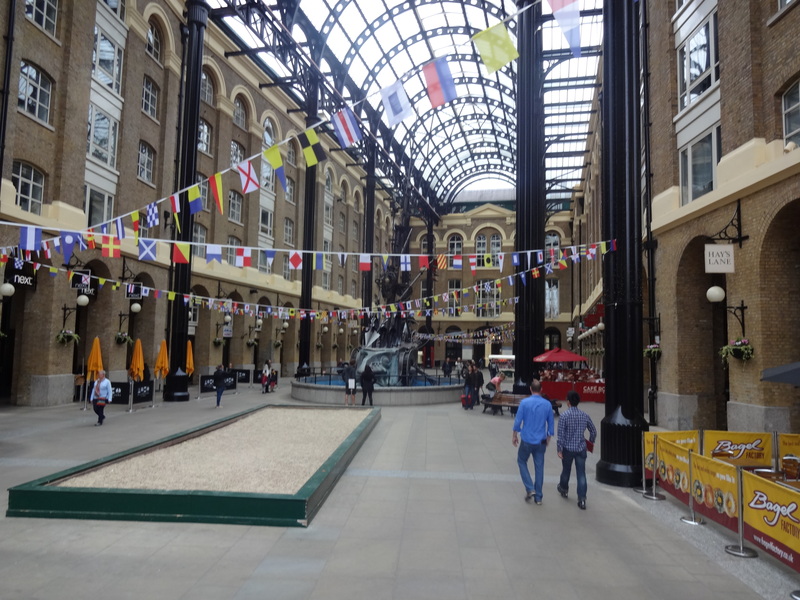 Exiting London Bridge station takes you directly into Hays Galleria, a large shopping center for tourists, mostly. 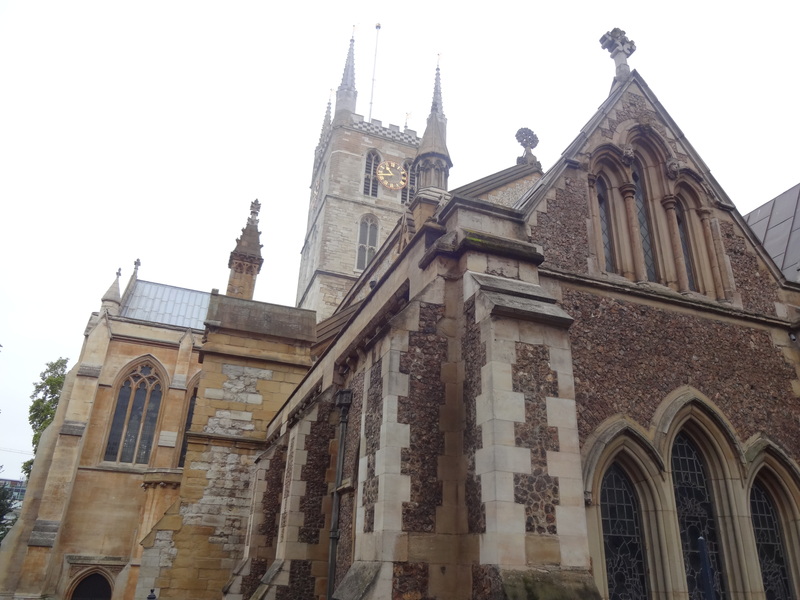 Southwark Cathedral is the first major point of interest after you cross London Bridge. 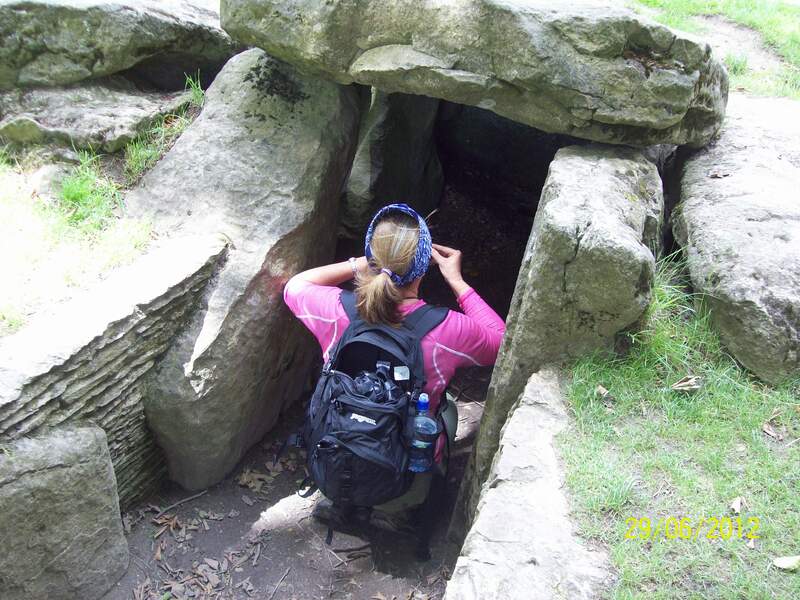 Parts of it date back to the 12th century and its well worth a visit if you have time. We didn’t….to busy dodging all the pesky joggers! 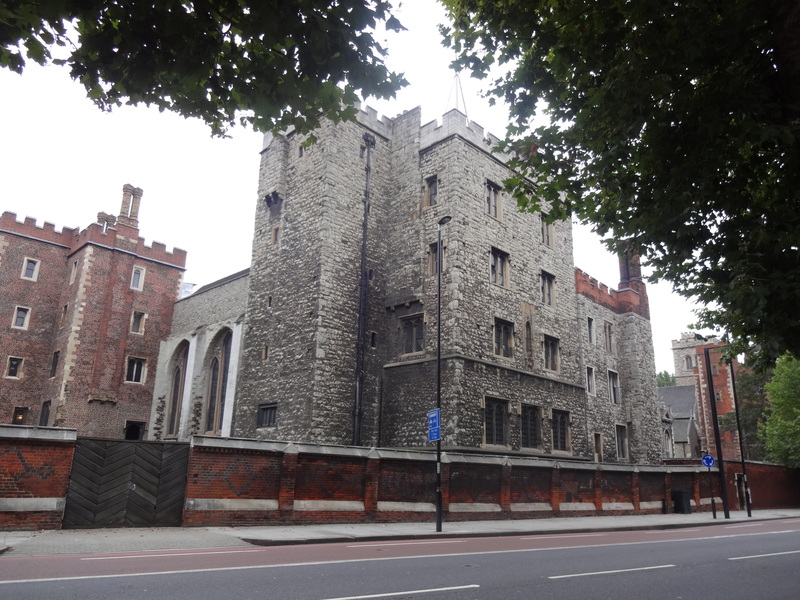 Like Greenwich, Southwark is steeped in history and you could easily spend half a day looking around. We hustled past the second of the historic ships that weekend. First the Cutty Sark in Greenwich, and here the Golden Hind. 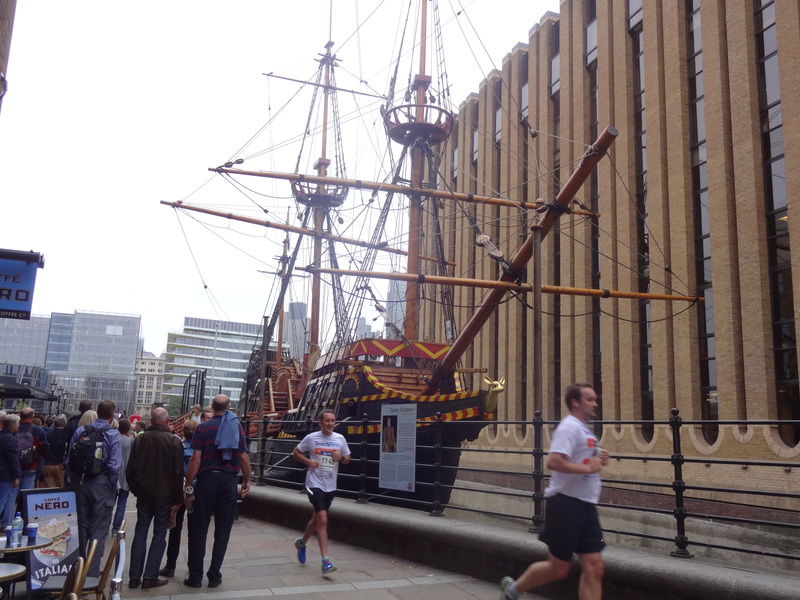 Passing Sir Francis Drake’s Golden Hind….past more of those joggers…. 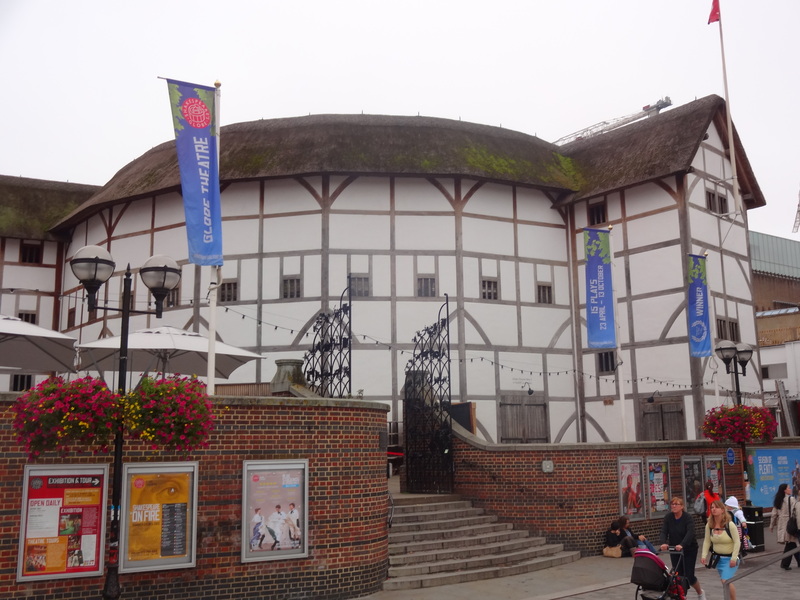 Further down the bank at Southwark is the Globe Theatre, a marvelous reconstruction of Shakespeare’s original Globe Theatre. One of these days I would love to see a performance there. 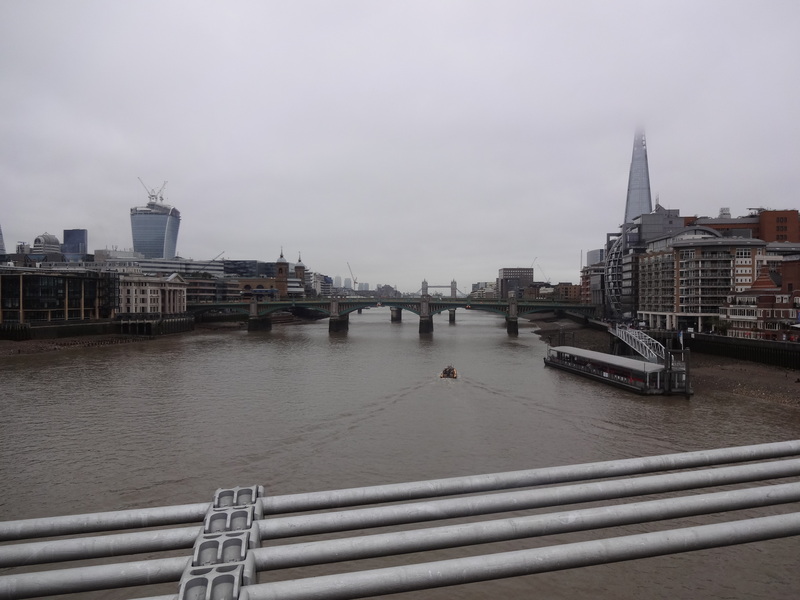 Another diversion….had to cross the Millennium Bridge as I had never done it before. 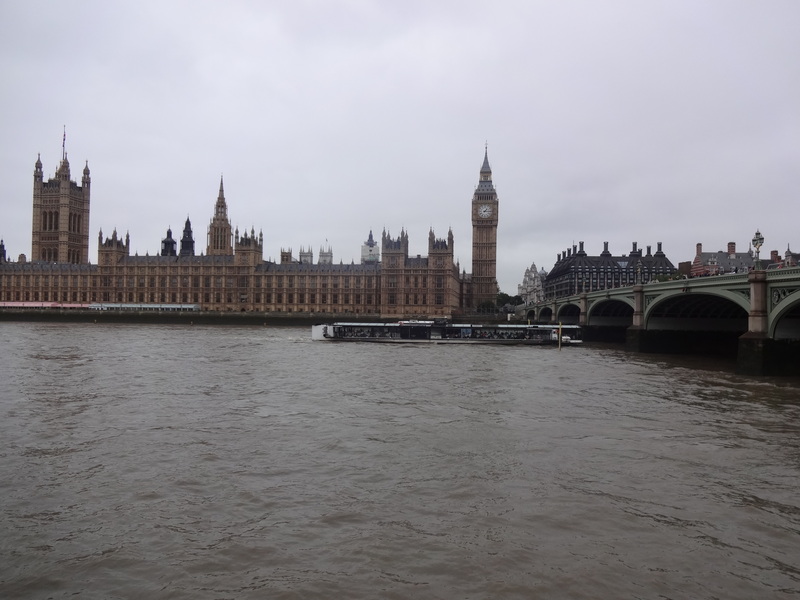 Great view down the Thames! Yep…yet more people. 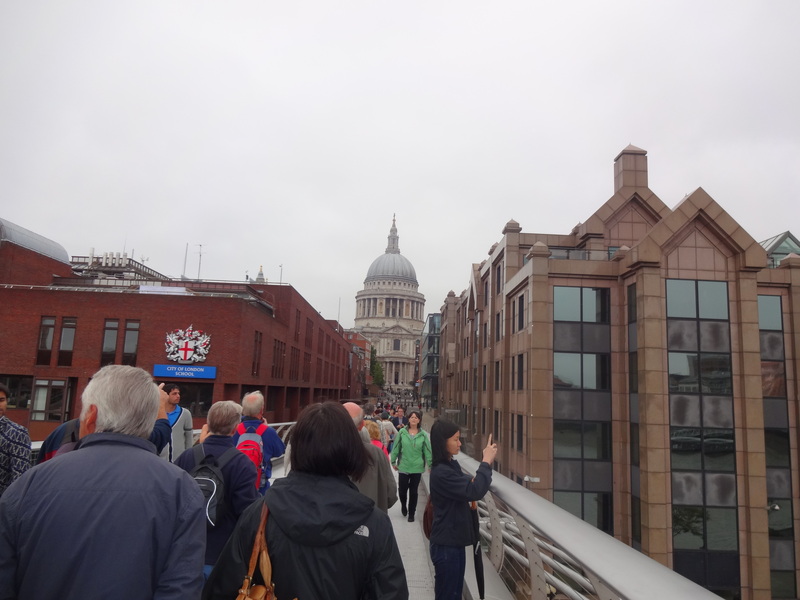 Millennium Bridge was packed. That’s what you get for going out on a Sunday! Street entertainers galore. 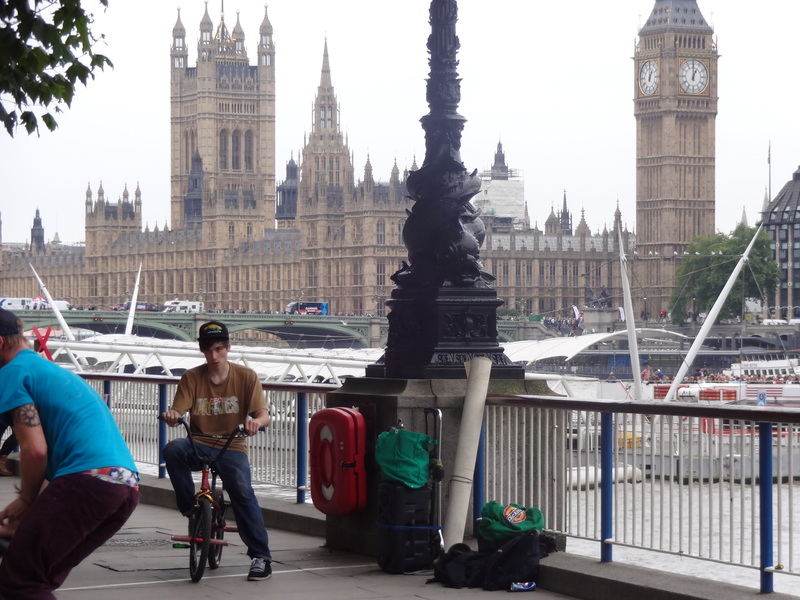 These guys were doing a trick bicycle routine opposite the houses of parliament. 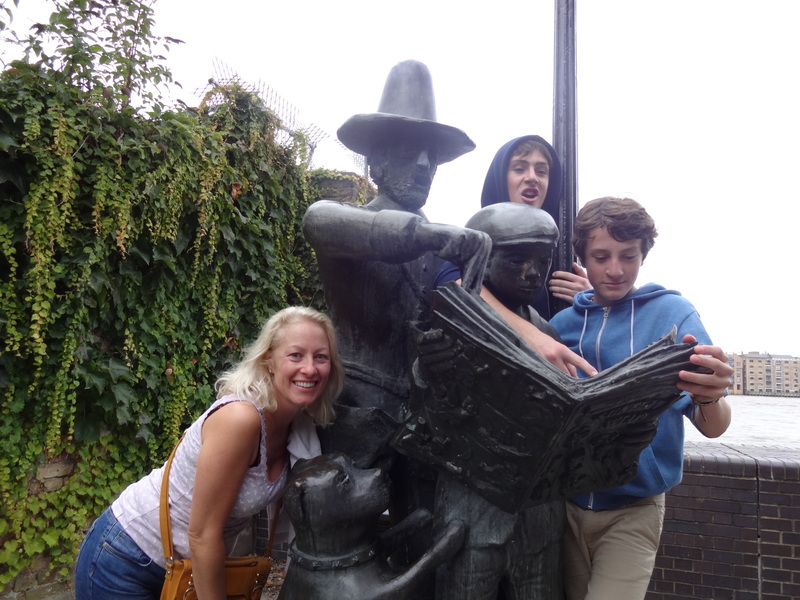 But there were also singers, mime artists and jugglers….tourist heaven! 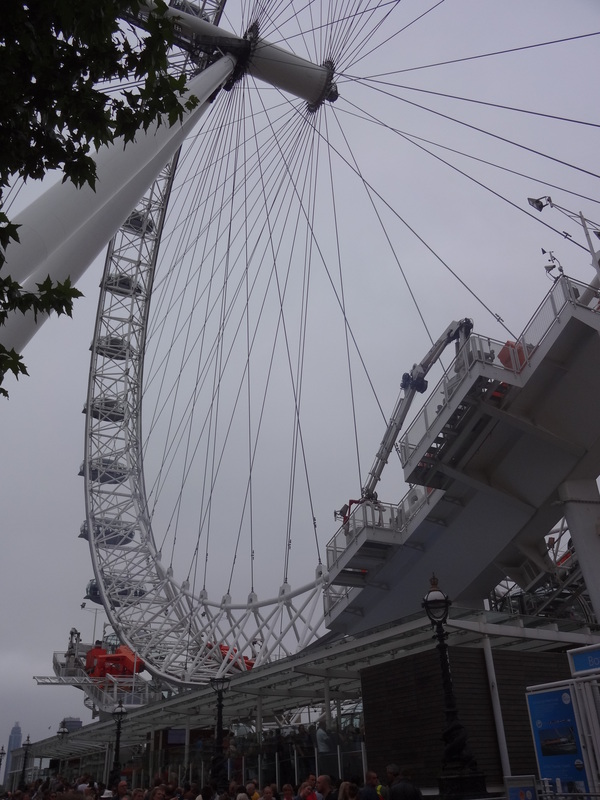 We ended Day 3 in the area where tourist London also drops off. 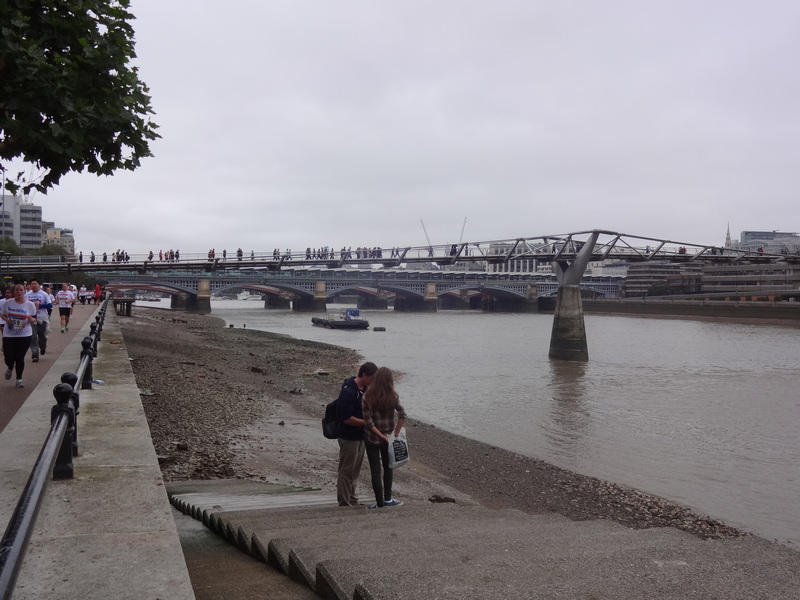 Further down the river, away from the main attractions, there will still be crowded riverside days at weekends, but it will mostly be Londoners, not tourists, that we will come across. 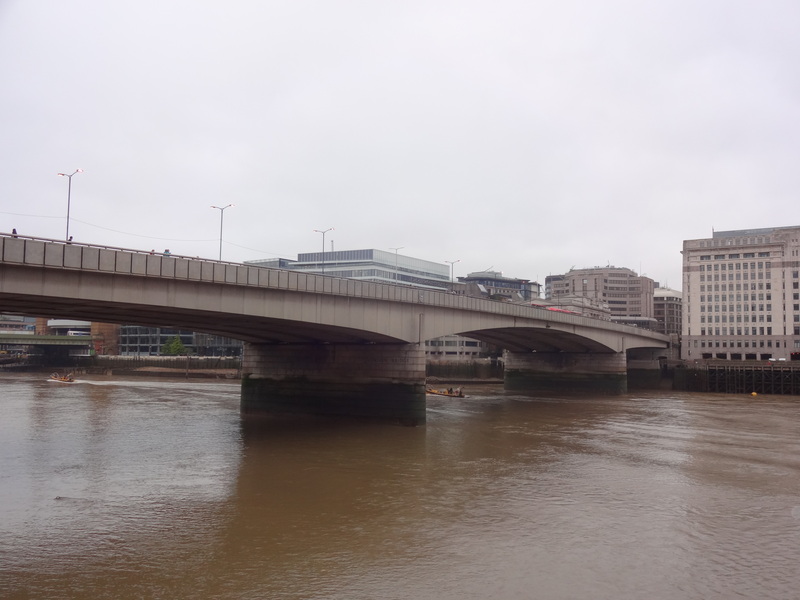 However, when we pick the trail again from Lambeth Bridge, I imagine it won’t be until 2015. 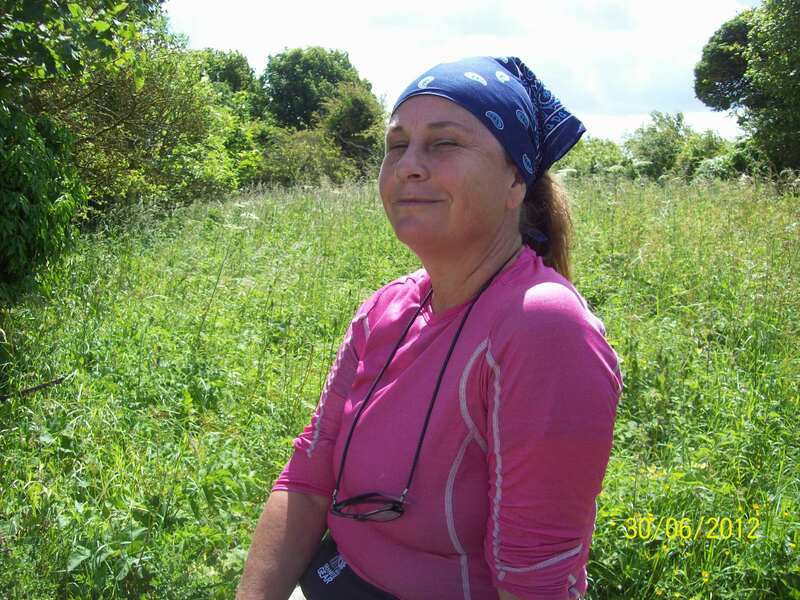 You never know, but I don’t think I can make it back to the UK next year, but I look forward to picking up the trail again…. watch this space! 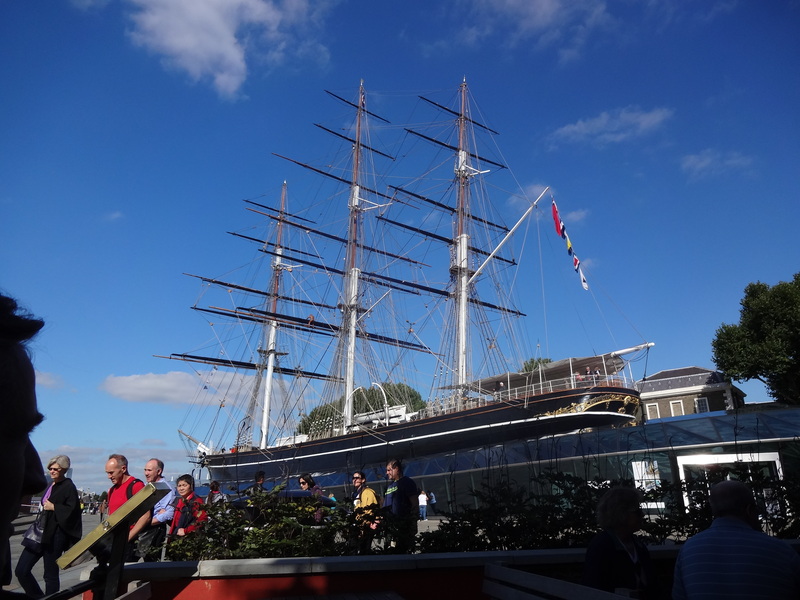 Day two picked up where we left off at the Cutty Sark near Greenwich Pier. 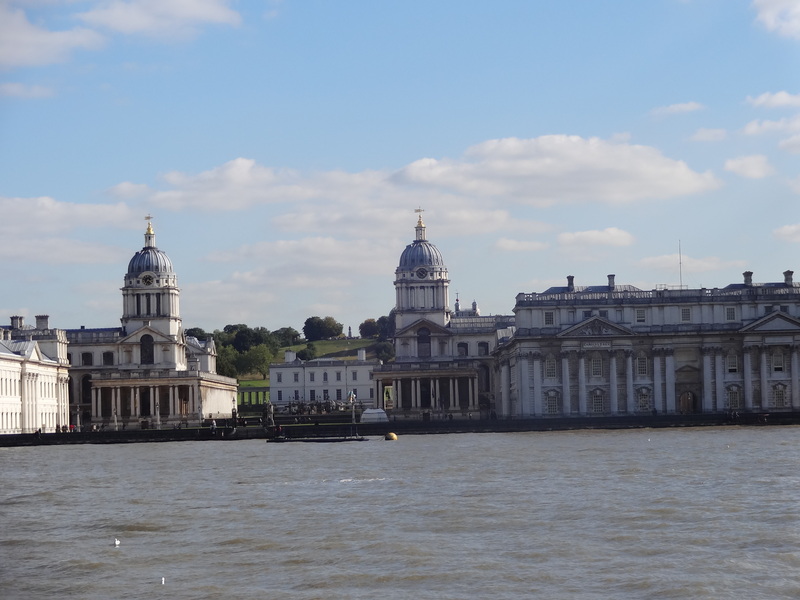 There’s so much to see and do in Greenwich, and its hard to walk through London and not stop at 101 different worthy distractions. The previous day’s planned distance was reduced considerably in reality, as it simply too much fun to stop and look at everything. 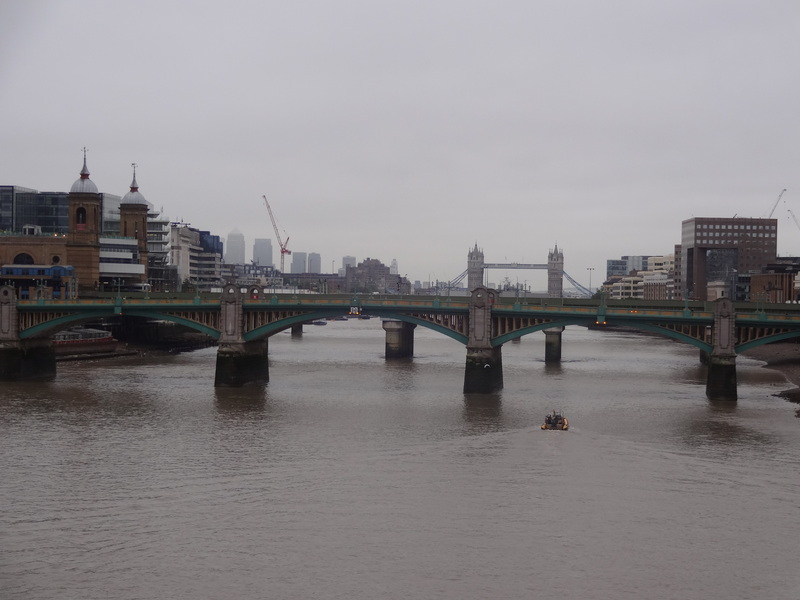 It quickly became clear that the London section of the walk was going to be more about exploring riverside activities than truly hiking away the miles, which was just fine with me. 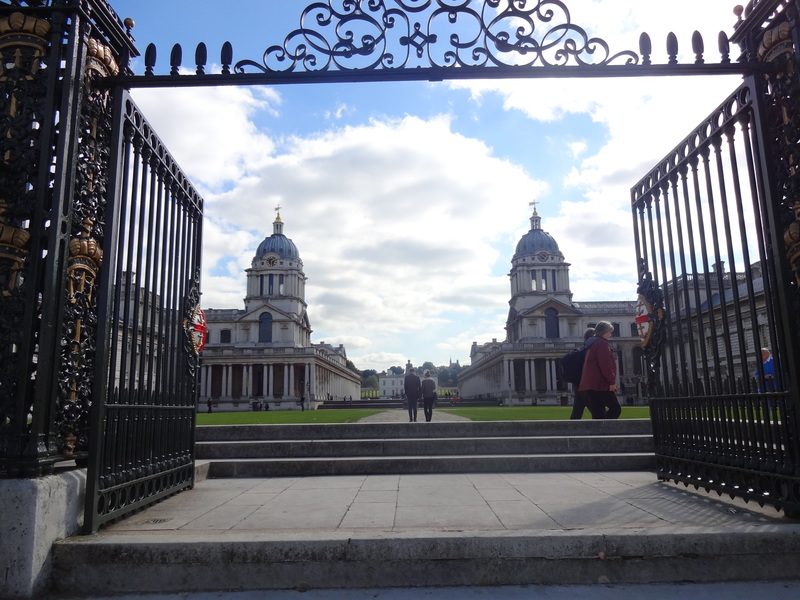 The Royal Observatory Greenwich — home of Greenwich Mean Time (GMT) — only got a fleeting glance from us…. 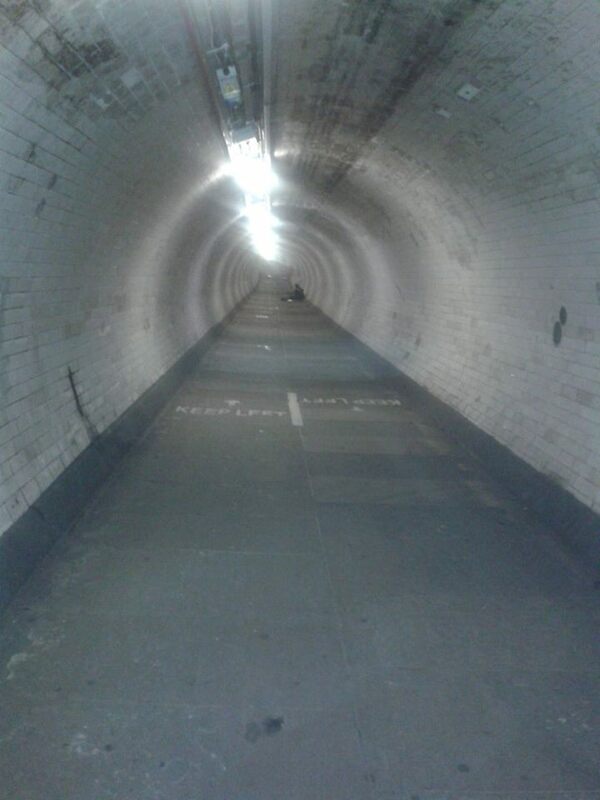 So, before we got very far along the Greenwich riverbank we stopped and explored the Greenwich Foot Tunnel that takes pedestrians underneath the Thames to the opposite bank. Its a pretty cool experience and tiring too if you decide to take the stairs rather the lift shaft. 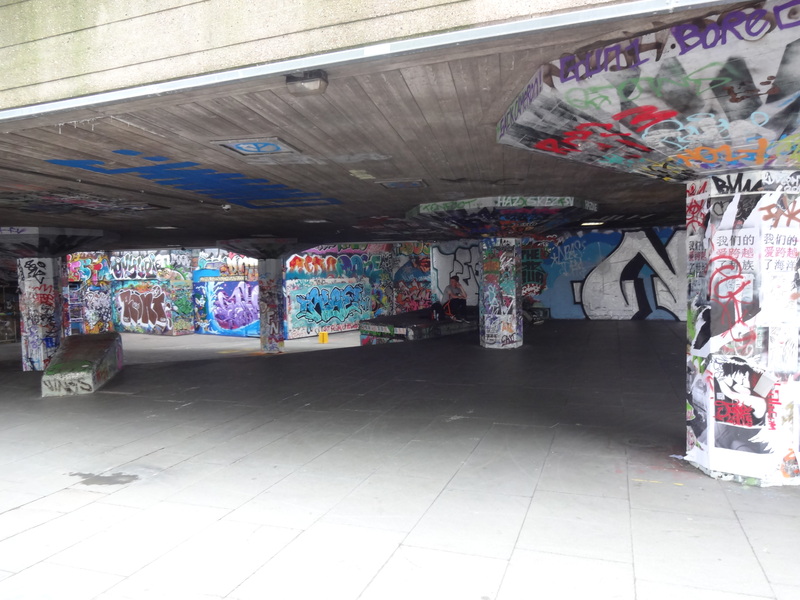 As we were committed to the South Bank, we crossed back again and re-commenced our journey westward. Deptford came up on us quickly. Its a less developed, neglected part of the city, and the path took us away from the riverside and into 1960’s urban sprawl. …so we took time out to do so. It had attracted quite a large crowd of people and we all wandered around his home that was a mixture of history and every day living. I think the boys enjoyed it despite Latham’s yawn! 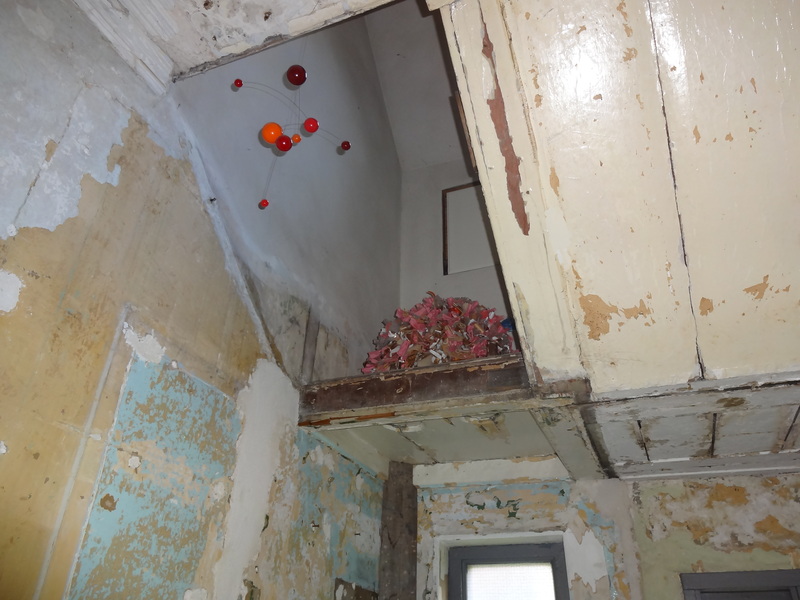 Obviously the house was in need of repairs, but historical upgrades are expensive and funds clearly weren’t there. 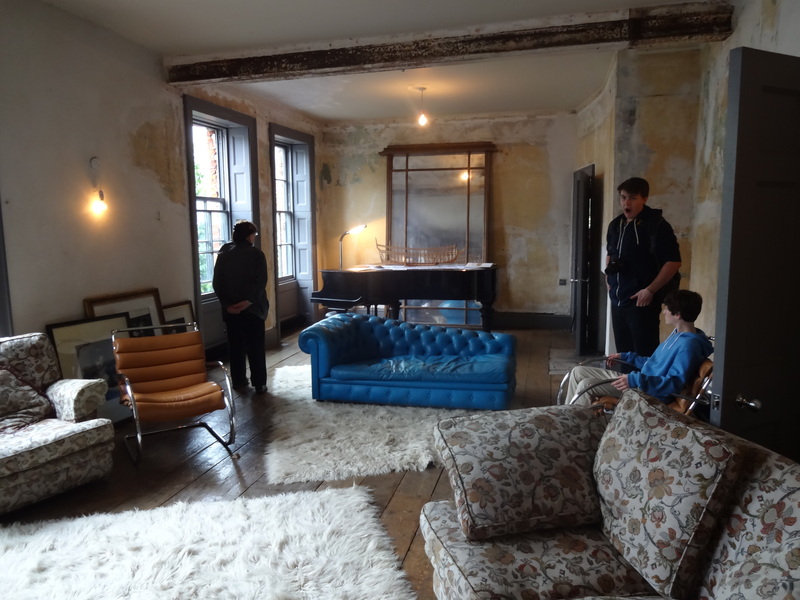 But the house was sound and they had used the exposed walls and floorboards as part of the integral design. Interesting. 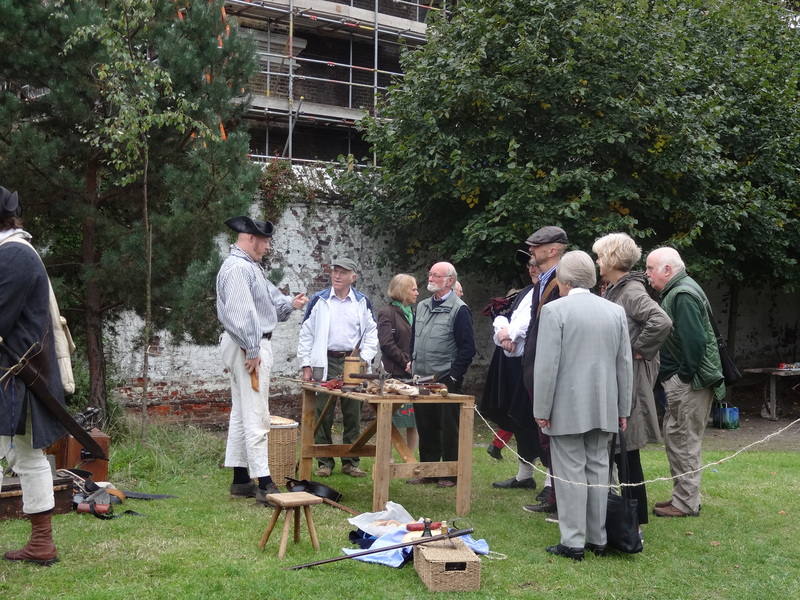 Outside they had used the garden’s riverside frontage to invite local historical societies and interest groups to give talks on various subjects…. 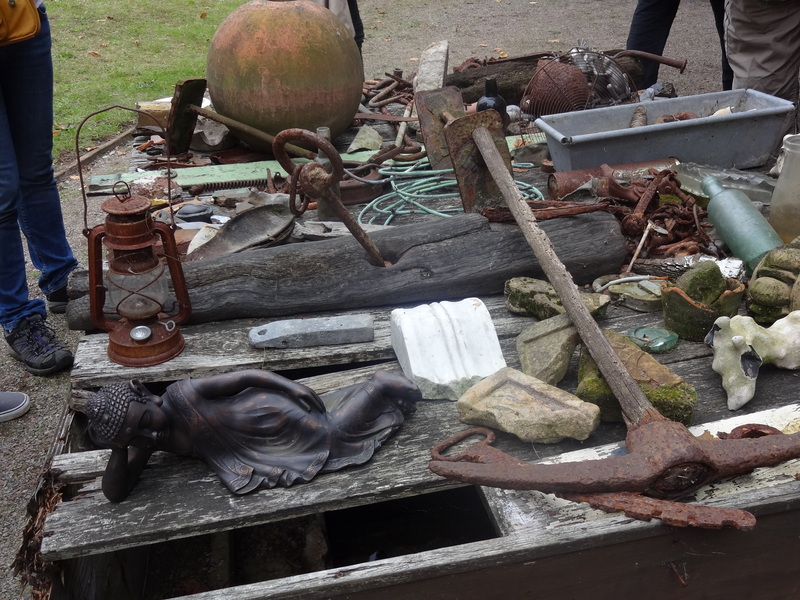 …including a display of different salvaged treasures from the Thames, I think. We spent a good hour in there, but eventually returned to the riverside trail, heading westward towards a series of quays. 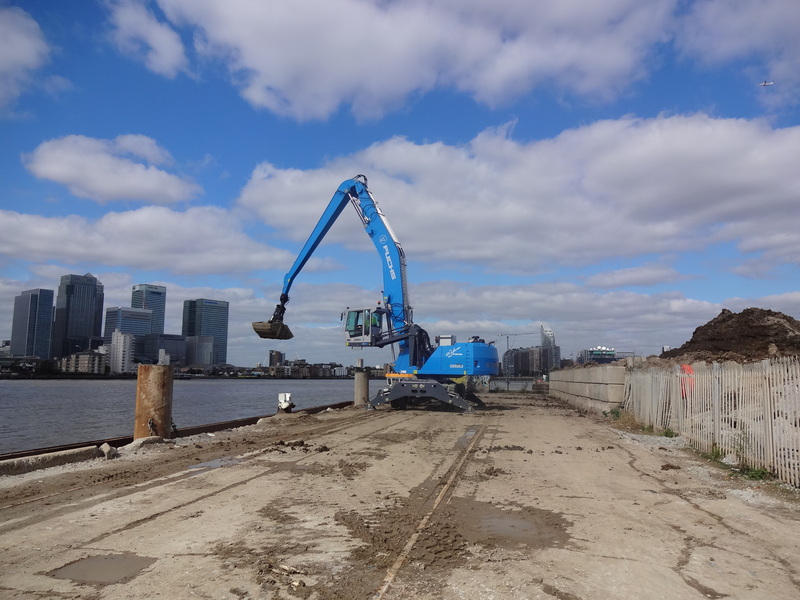 If yesterday was about old industrial sites meeting new modern trendy London, today was about the quay. Small marinas and quays were strung out in successions for the next couple of miles. Crossing one of the many quays in the area. The last one along this stretch was Surrey Quay, which unexpectedly hosted an organic garden and petting zoo, which seemed like a pleasant place to stop and grab some lunch. 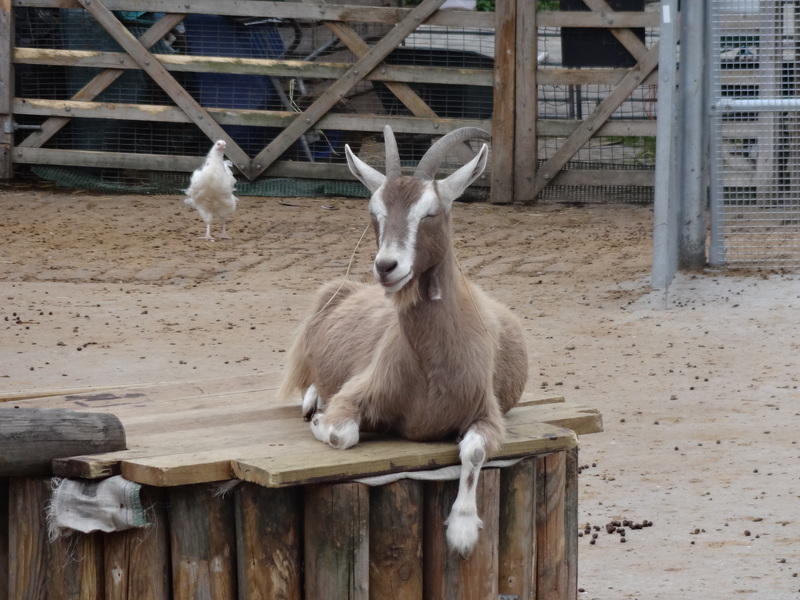 They are all set up for toddlers and finger food, but the adult organic restaurant was very good and we enjoyed the animals too! 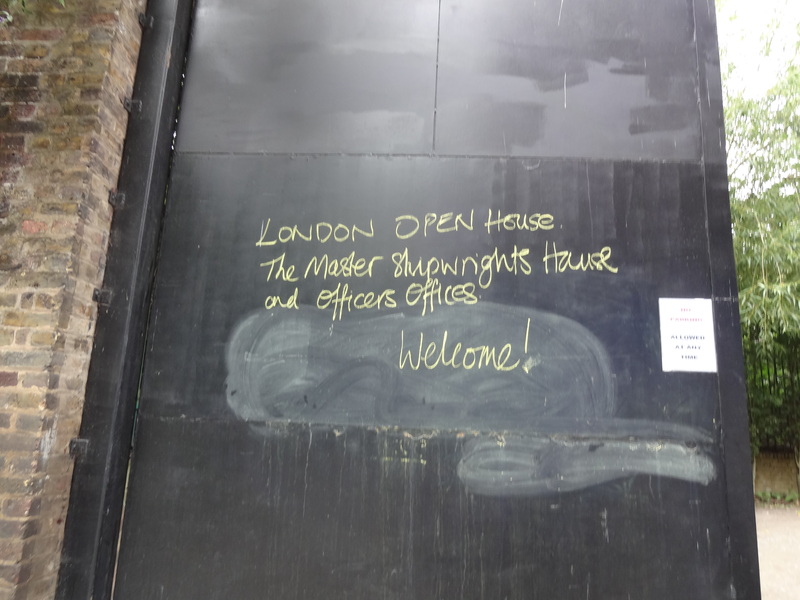 An unexpected find in London! 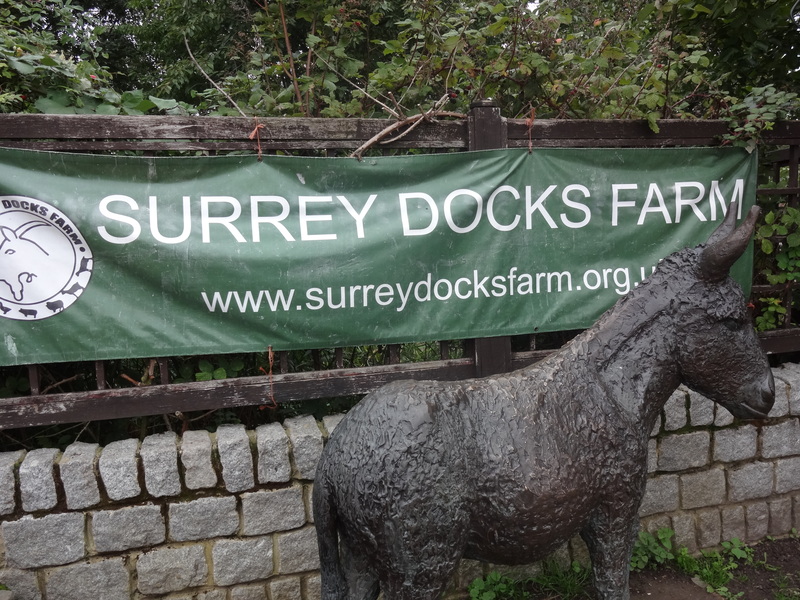 Surrey Docks Farm has its ducks all in a row! 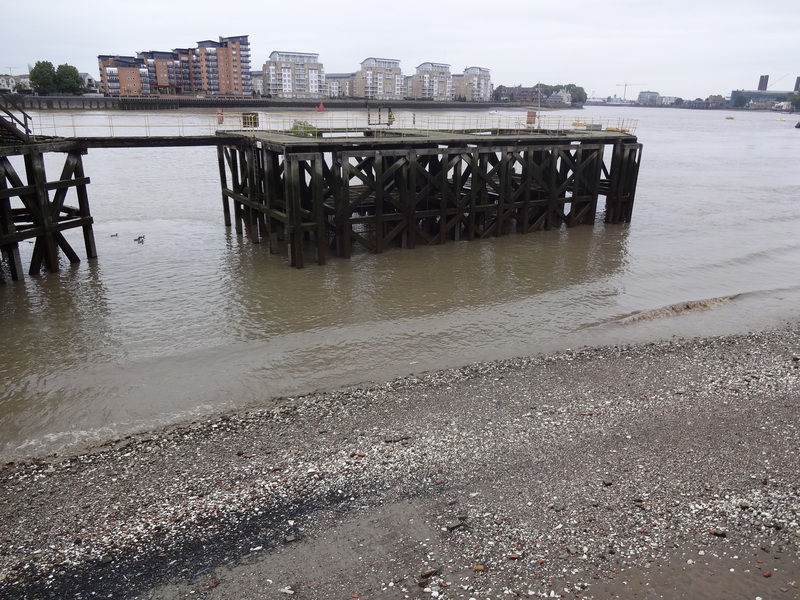 One of many lonely, crumbling jetties still standing…. 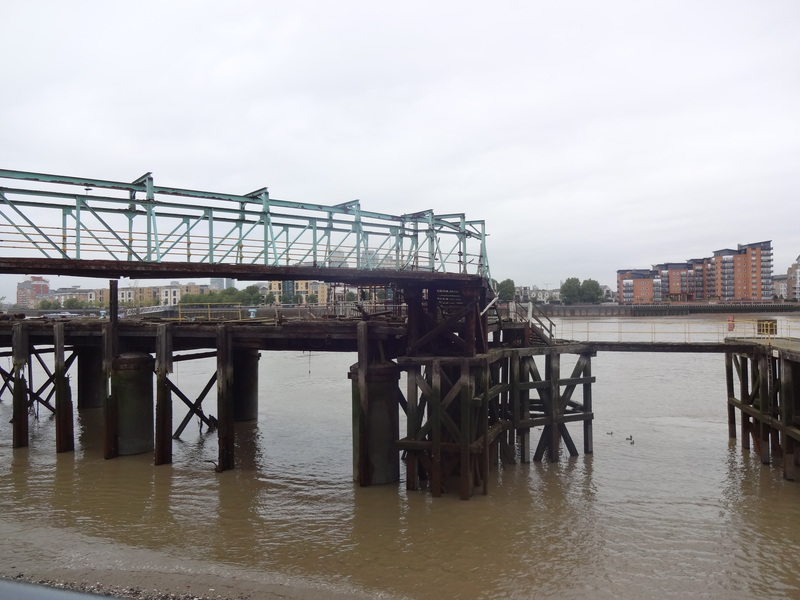 The rest of the day’s walk took us past the start of some upmarket housing developments, perched alongside some of London’s older abandoned jetties. 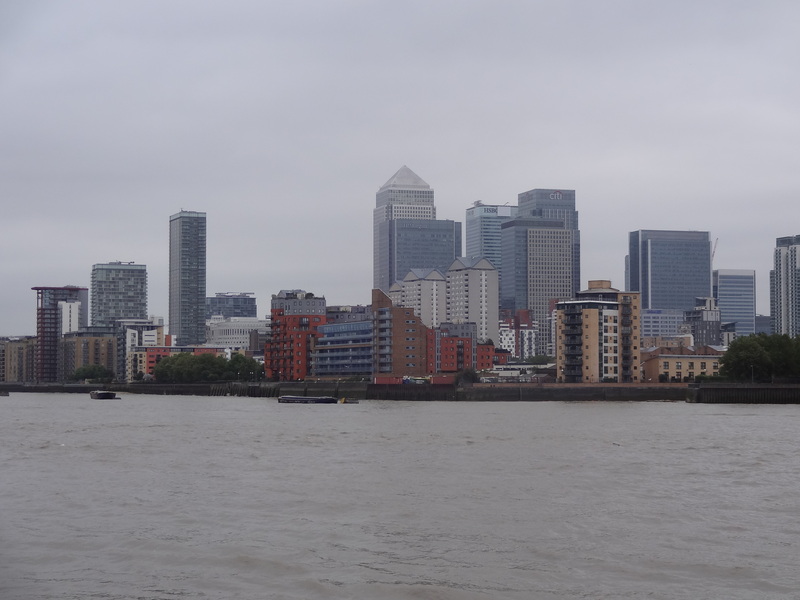 Canary Wharf made a final appearance behind us as we turned the bend onto the final stretch towards Tower Bridge. 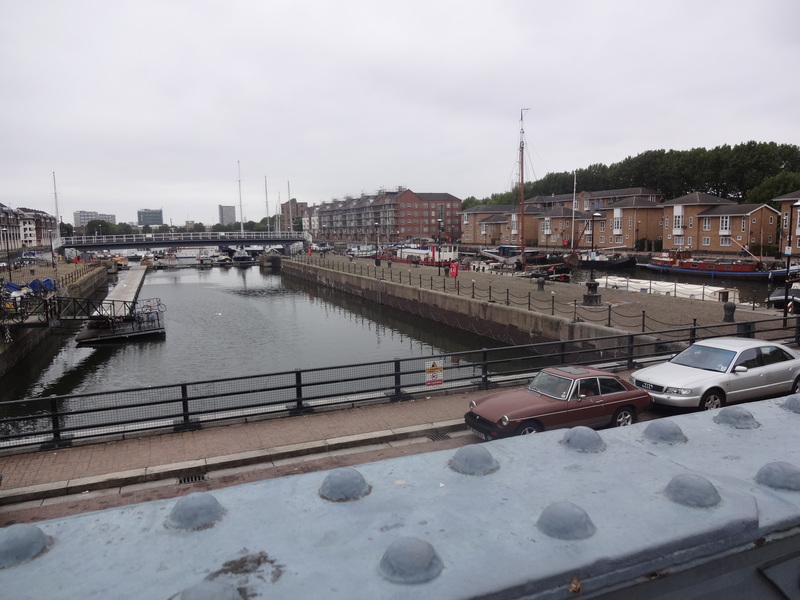 Reaching Butler’s Wharf was the start of tourist London, fancy restaurants, and trendy shopping. Quite a change from just a mile or two up the river. 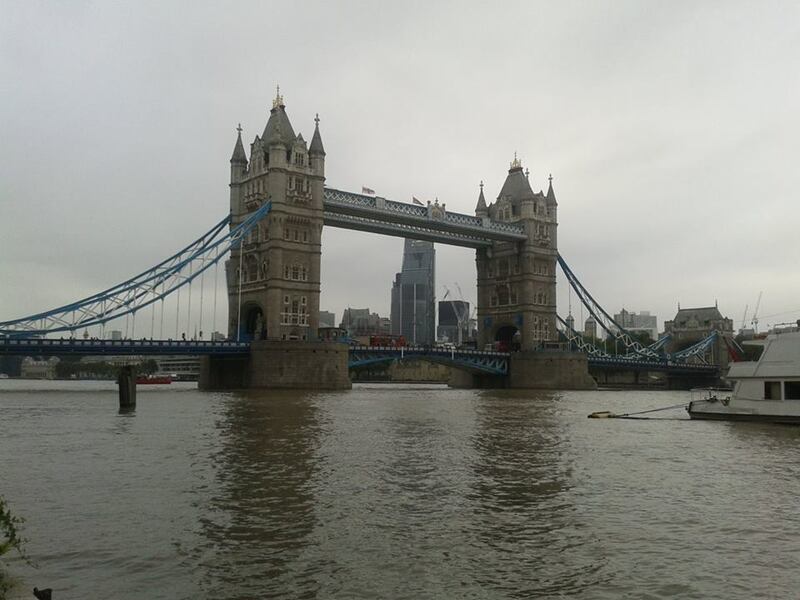 This day’s photo journal wouldn’t be complete without a picture of our penultimate destination – Tower Bridge – not to be confused with London Bridge our final stop on Day Two, and just a short half mile away. I haven’t been on one of my beloved hiking trails this year, and the prospect of hiking in Nepal seems a long ways off right now…at least at the moment as we try and settle into our new lives. 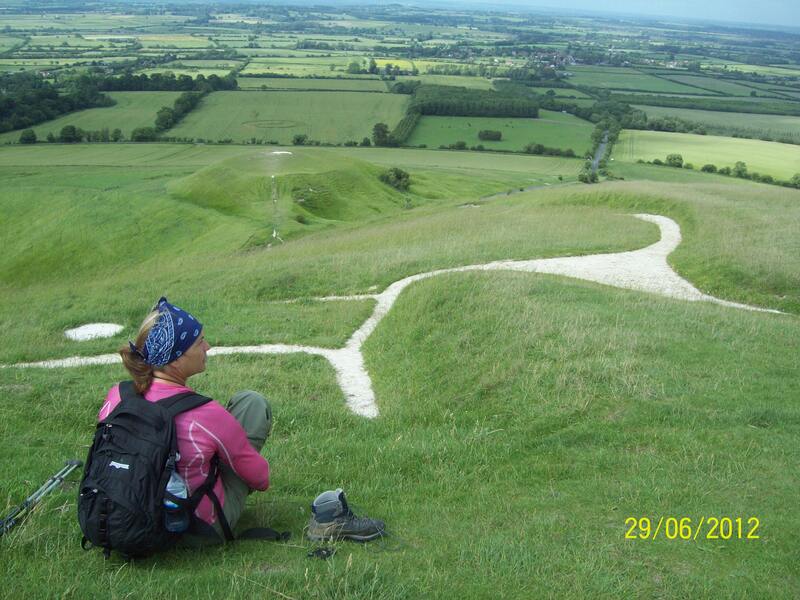 In the middle of everything else this summer, I planned the possibility of starting a new UK trail, something I could do with family, in increments when I’m visiting. 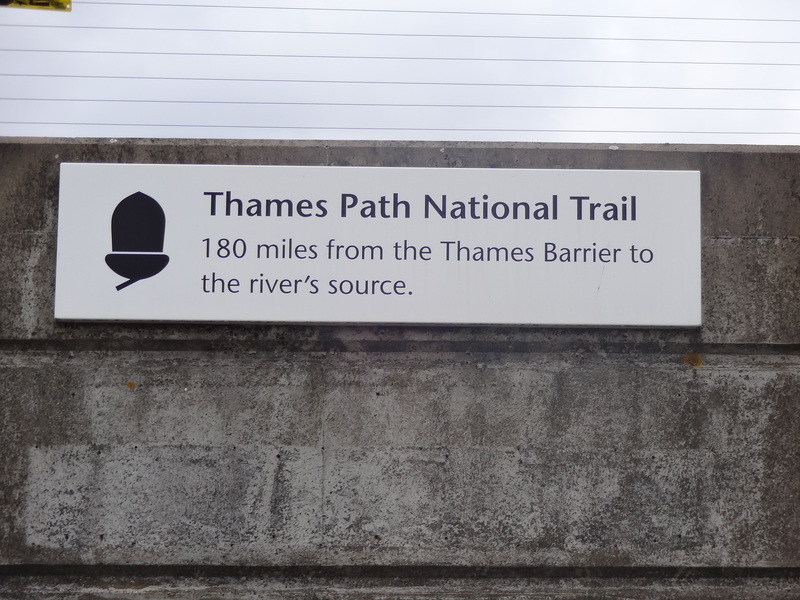 The Thames Path National Trail seemed perfect for that. 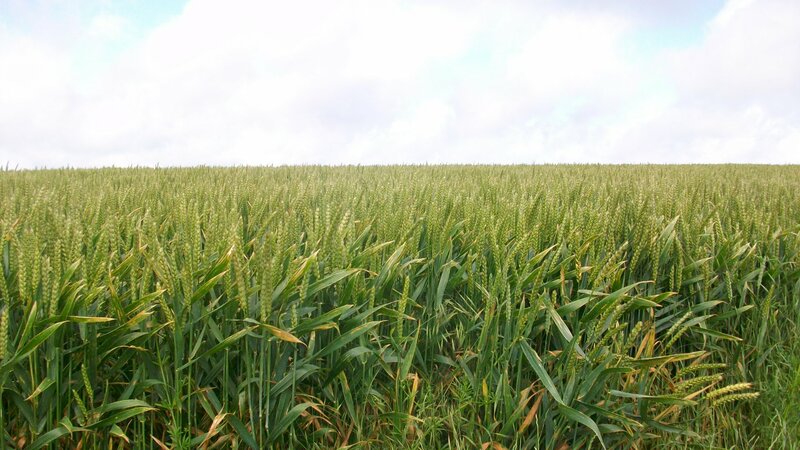 Its 180-200+ miles longs (depending on where you start) and follows the Thames from its source in Oxfordshire to the mouth of the river in London. Also, almost half of it is easily accessible as a day trip from my family’s London home, which cuts down the cost and logistics. So with only a few precious family days here and there to grab over the years….this seemed like a very doable journey…even if it takes us forever! 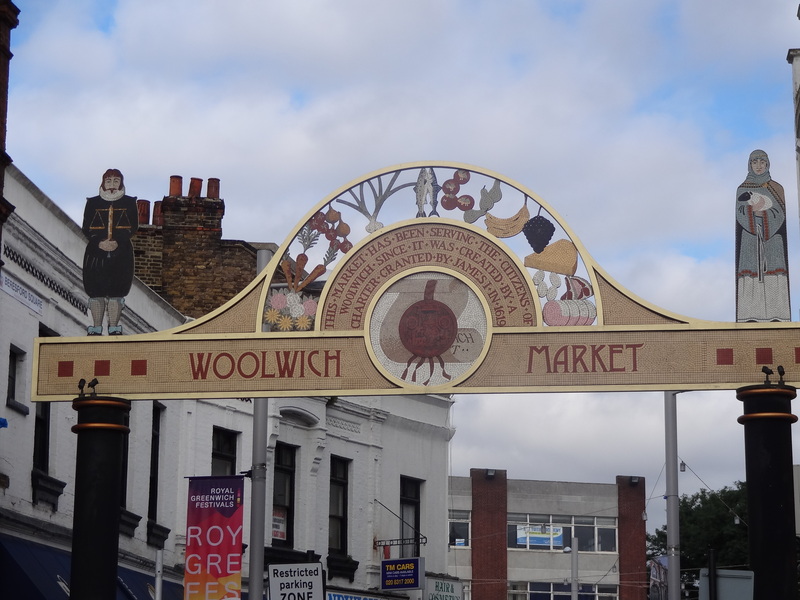 Day one of the walk started at Woolwich Arsenal, home to Arsenal Football Club and the historic Royal Arsenal on the South bank of the Thames. 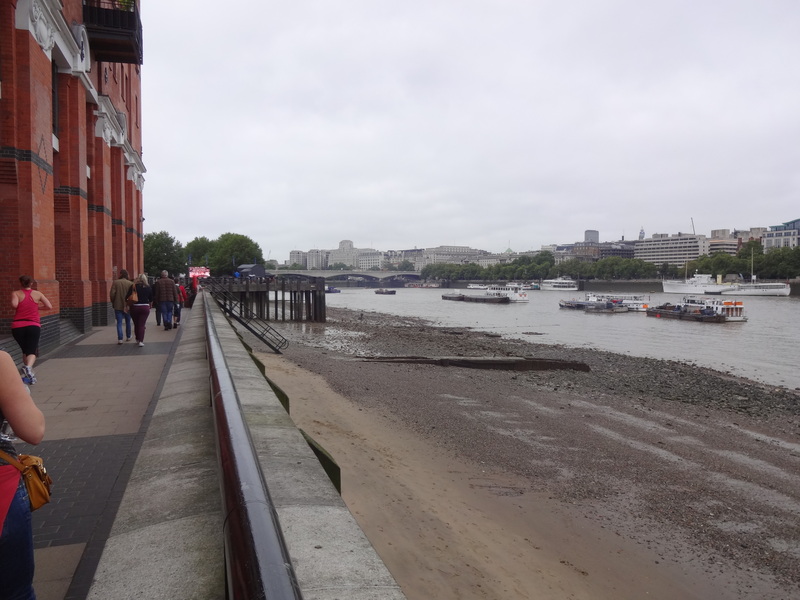 At this point in the journey, the Thames Paths offers a choice of North or South Bank and, for various reasons, we chose to follow the South Bank path. 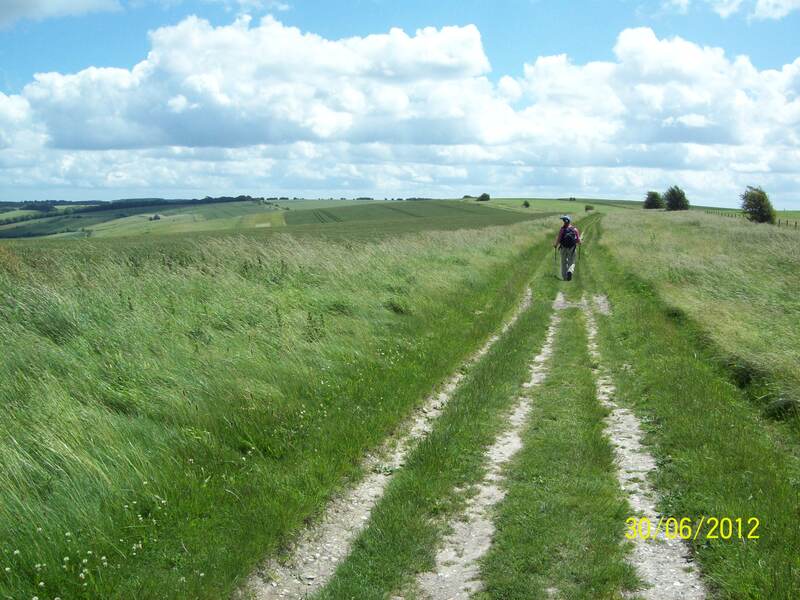 Choosing to do the path in reverse (most people do it from the source out to the sea) meant that we were starting in the least developed part of the Thames. 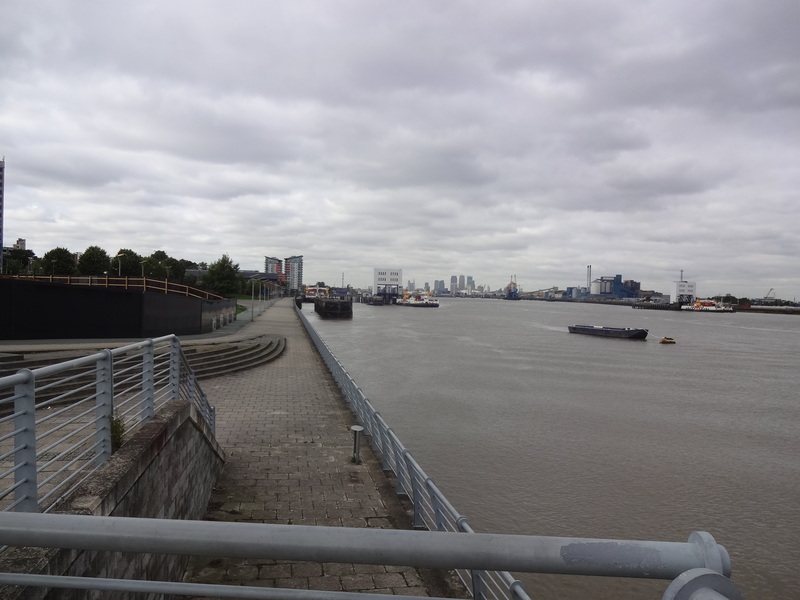 In fact, parts of the path were still being finished, and as London starts to move Eastward and develop the its far Eastern Boroughs, previously long neglected, we walked through much construction and development, abandoned industrial sites and spanking new luxury apartments. It many places the walk is well signposted. If you thought that that signage for a route that follows the river isn’t really important, you’d be wrong. 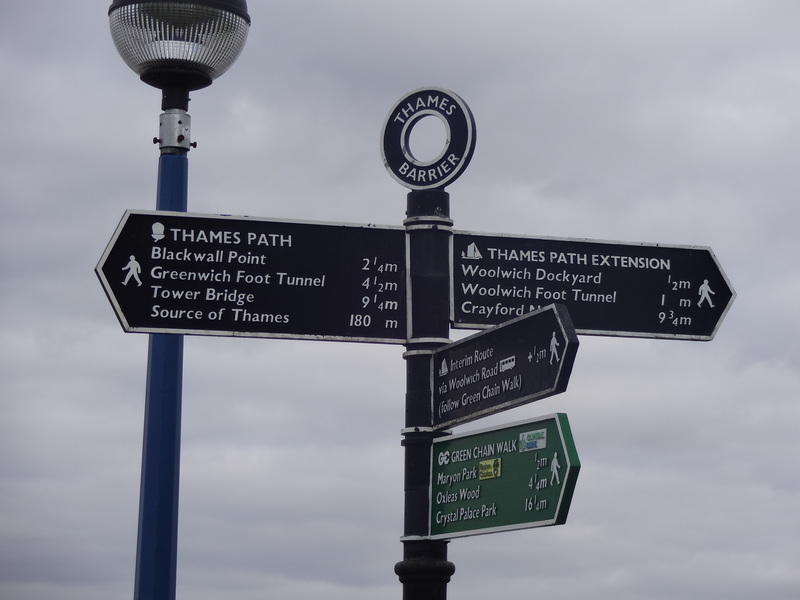 The Thames Path at this stage of the journey and this point in time is a area in flux. 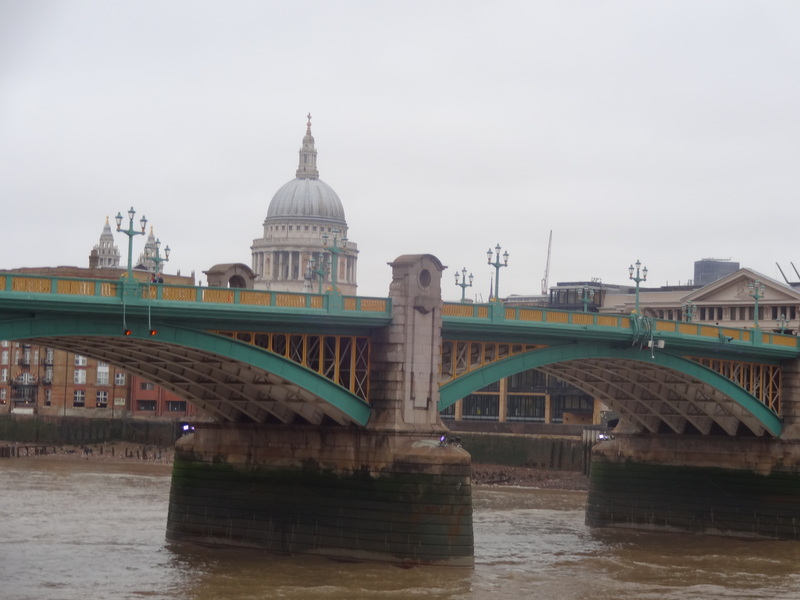 There were plenty of clues that the path was constantly being diverted as construction affected the banks of the Thames. Or sometimes long established riverside property meant that the path would turn inland for a while and the way through the industrial backroads wasn’t always clear. I wouldn’t always have felt safe doing this part of the journey alone. 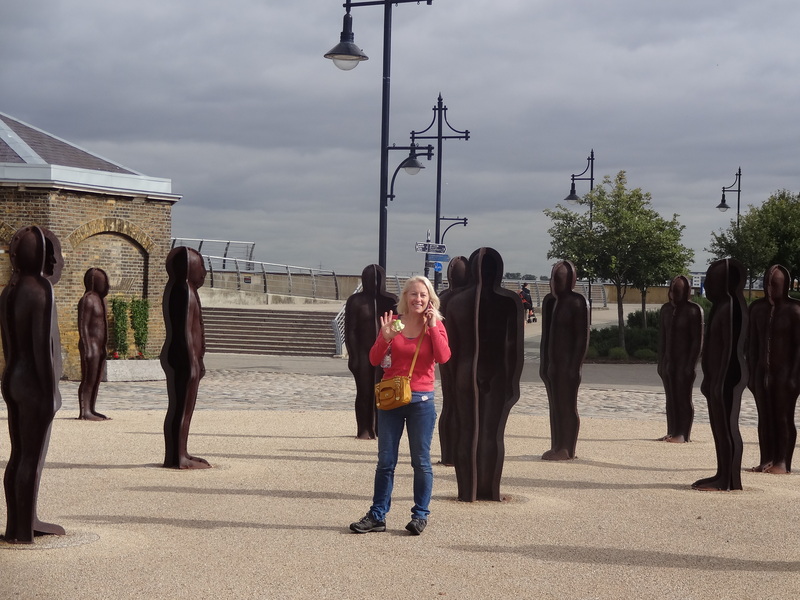 Nikki on a call amid a sculpture at the Royal Arsenal. Walking through the Arsenal was an interesting mix of history, military heritage and funky art! 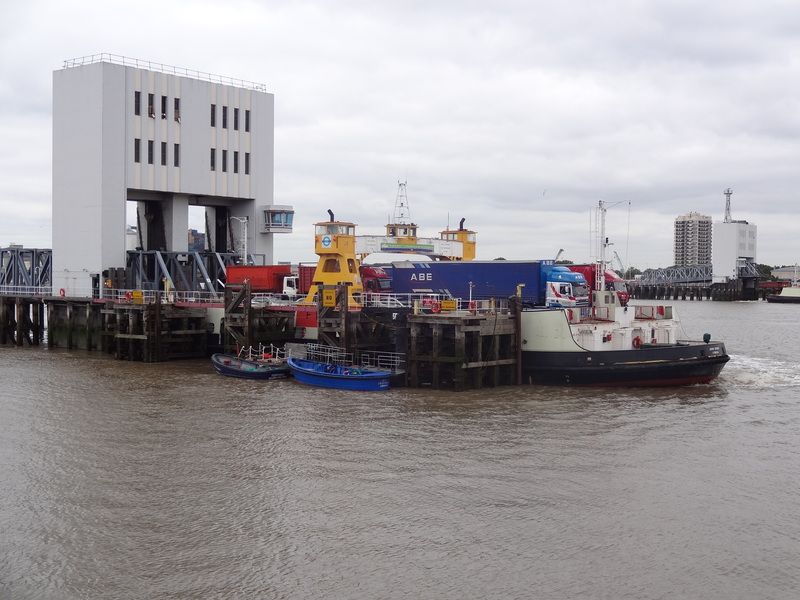 Near Woolwich Pier. 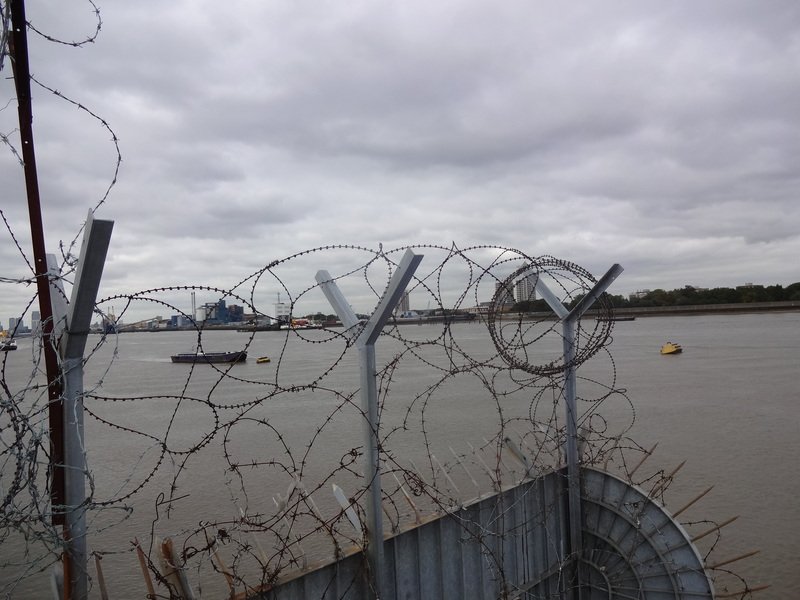 London through barbed wire. 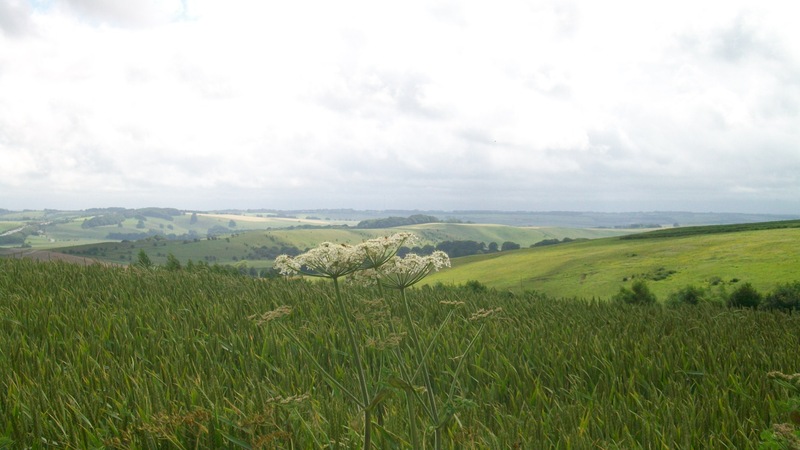 A grey prickly start to a very long walk…. 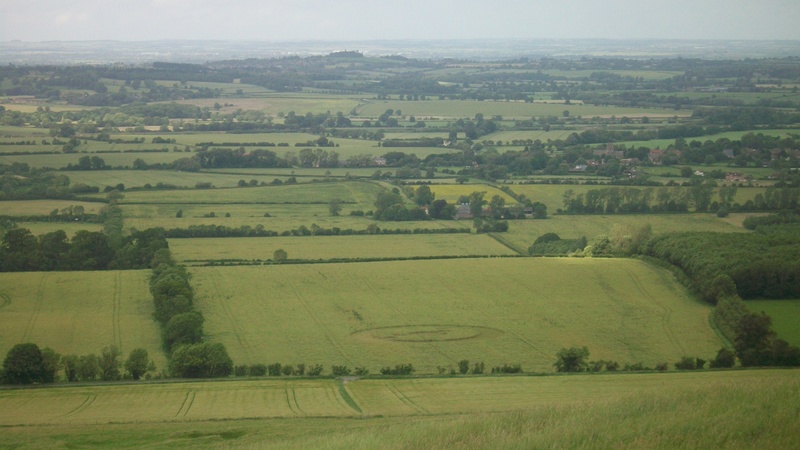 If you glance at the earlier green map, this section of the walk could be shortened considerably by crossing inland across the large bend in the river. Of course, that would totally be against the rules! 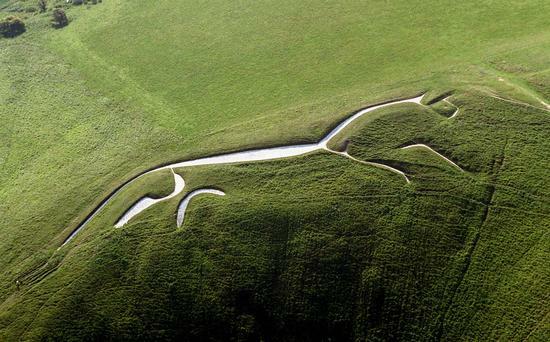 But it is relevant because the bend causes distortions in the perceived location and distance of landmarks. 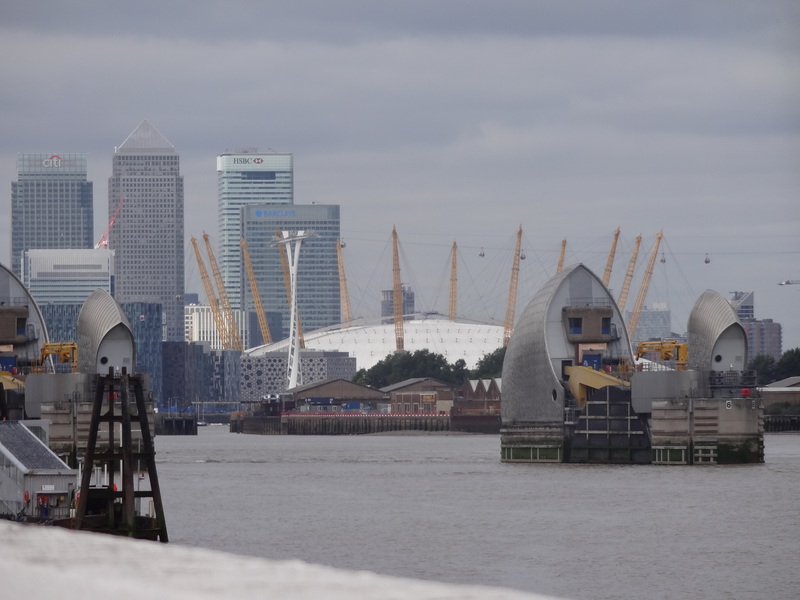 At the Thames Barrier, the Millennium Dome seemed closer than it did a few kilometers further along the river. And once we approached the Dome, we seemed forever in its shadow. It was perpetually just around the corner, upon us, or just behind us for what felt like most of the walk that day. 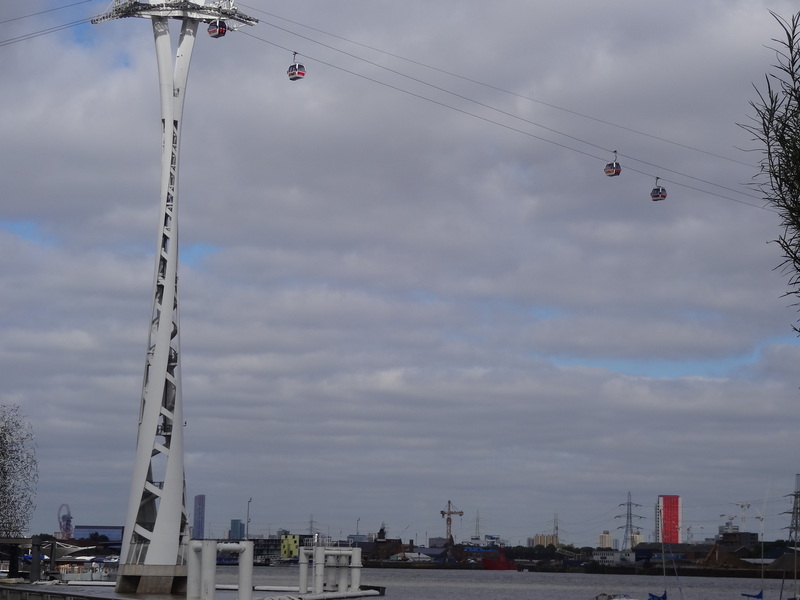 The Emirates Airline Cable Car across the Thames. A pretty new addition that I had no idea existed. 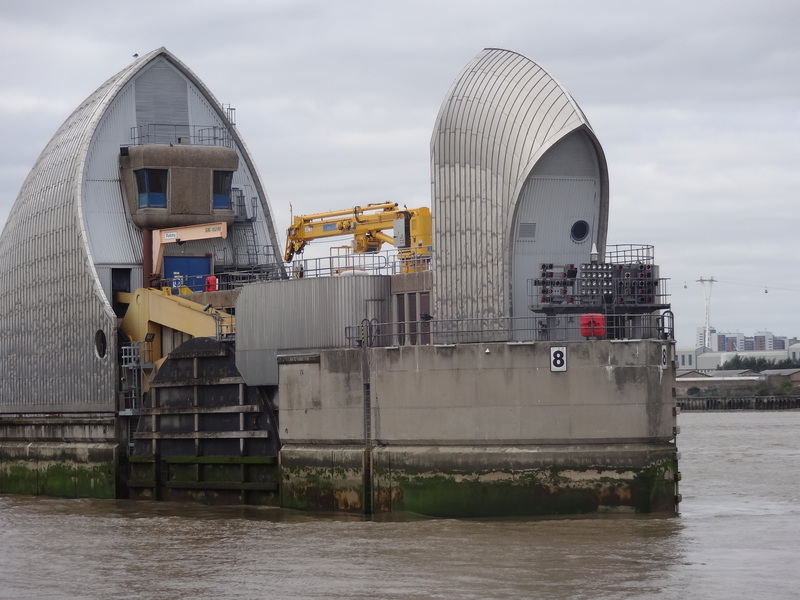 Apparently originally designed as a commuter option for crossing the Thames, since the end of Olympic traffic use has dropped considerably. Most of the cars looked empty to us. 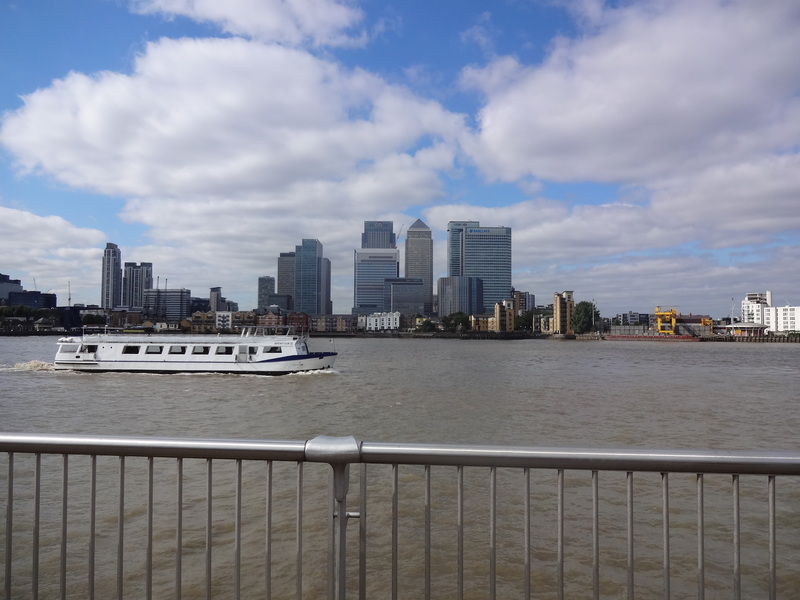 A second large loop in the Thames around the Isle of Dogs made for another windy detour towards our second omnipresent landmark: Canary Wharf. Canary Wharf is a new major financial district in London, its tall skyscrapers visible from a long way off. Like the Millenium Dome they stayed with us all day and into the nex,t until we were far along enough for even the tall towers to disappear. 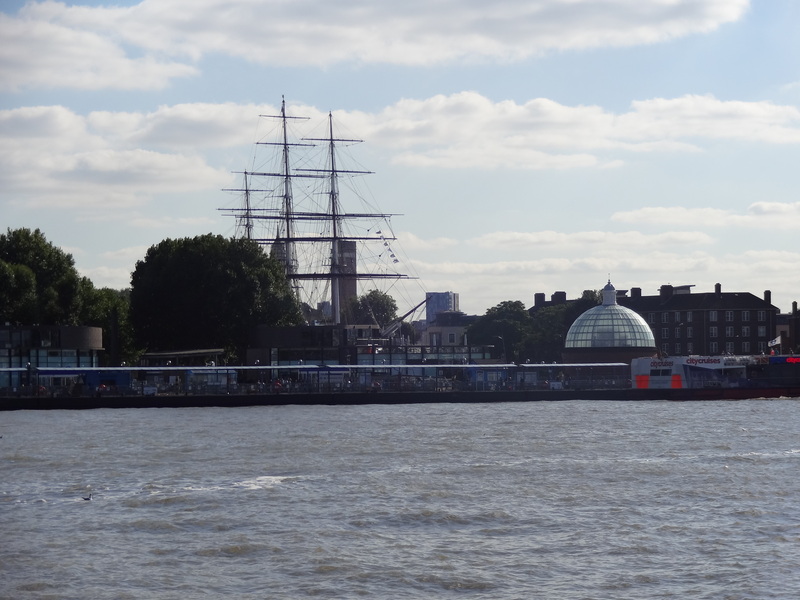 The last stretch of the day was along a neglected strip of riverside towards Greenwich. 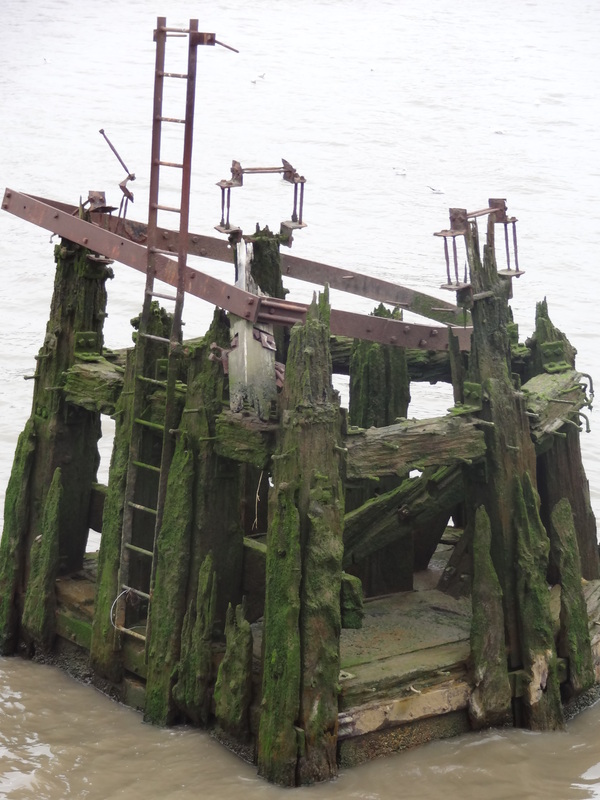 It was run down, a little spooky, and full of reminders of an older industrial London port of times gone by. 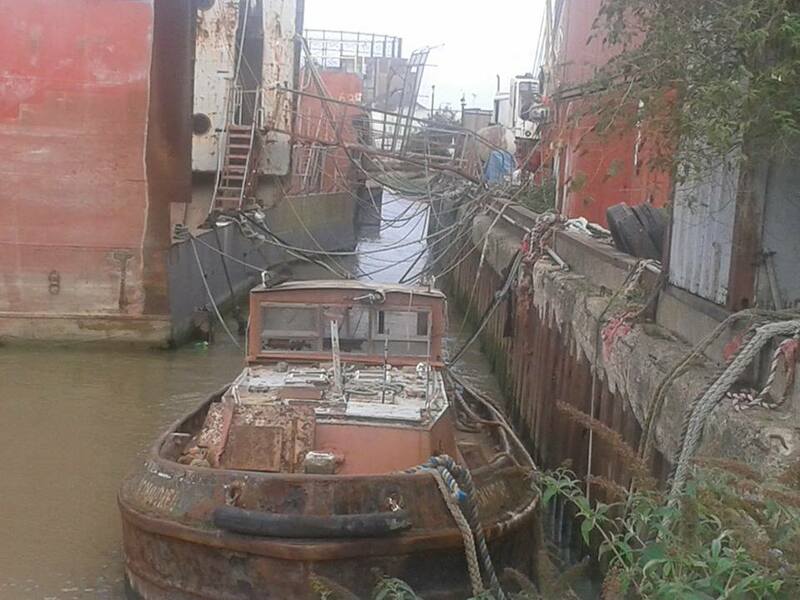 Nikki’s excellent photo of an old, creaky barge moored along that stretch of the river. 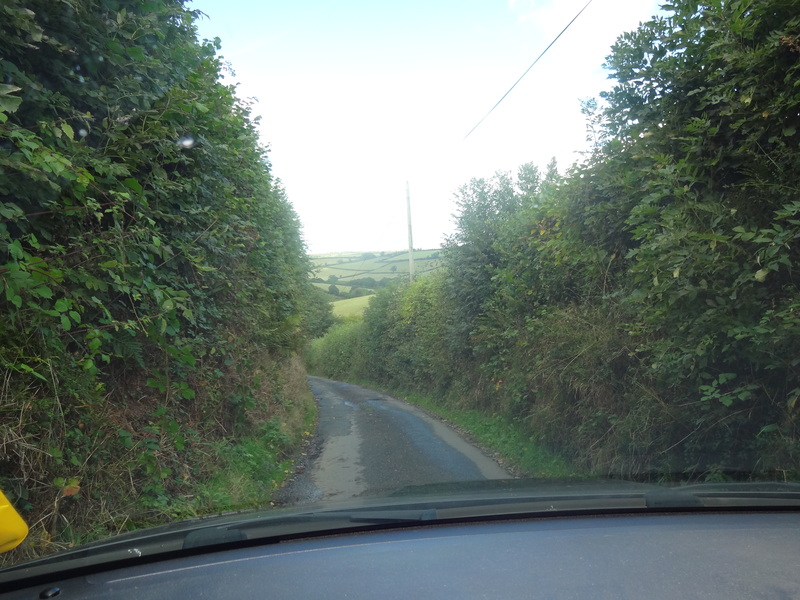 …and, yes, we had to walk along this stretch..under the arm of the bulldozer…after we got the ok from the driver. This stretch was definitely not quite ready for us! Finally after this neglected section, we were suddenly in beautiful kept, historic Greenwich with its charming restored houses, quaint village pubs, historic sites and tourists. It was quite a change of scene. My blogging has slipped for the past month. Its hardly because of lack of things to blog about, more that things have been crazy busy and I’ve been unable to catch up. 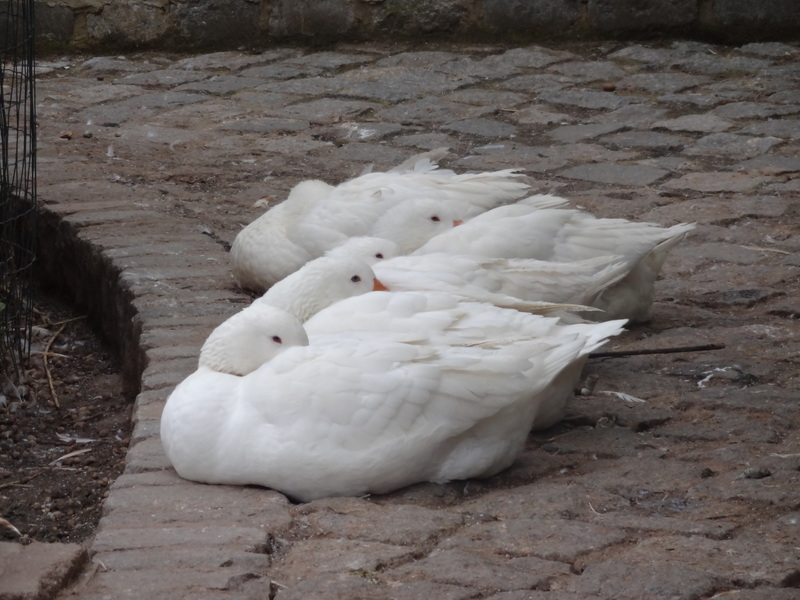 But here on the long Nepali holiday weekend, the rain has messed with our plans and I am at home with some time to do just that….catch up. I’ve been back from the UK for two weeks now, have started a new job and unpacked the our many boxes in the attempt to make our new house into our new home. But before we get to that post…a little back tracking…. Around the middle of September I managed to sneak a few days down in Devon to visit my friend Katie. Its been a long while since I visited both Katie and Devon. 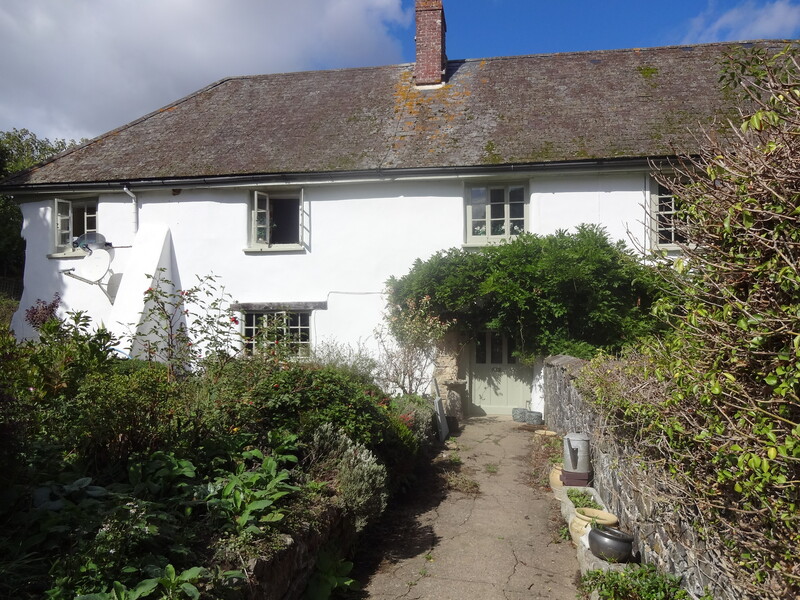 She recently bought a traditional Devon Longhouse “fixer upper opportunity” which, coincidentally, is in the same town where I was married, so it was wonderful to go down and see their new home and poke around the area where we honeymooned quite a few years ago now. 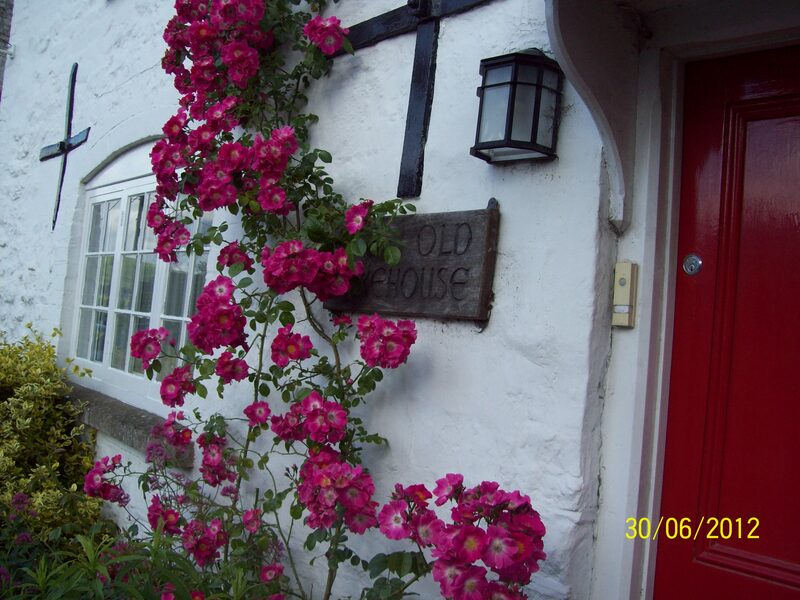 The house is vast and beautiful, and in need of lots of TLC but they are no strangers to fixing up period houses. This one dates back about 400 years. The traditional long shape comes from the ancient practice of combining human housing and animal stables into one long building, especially in the Winter. 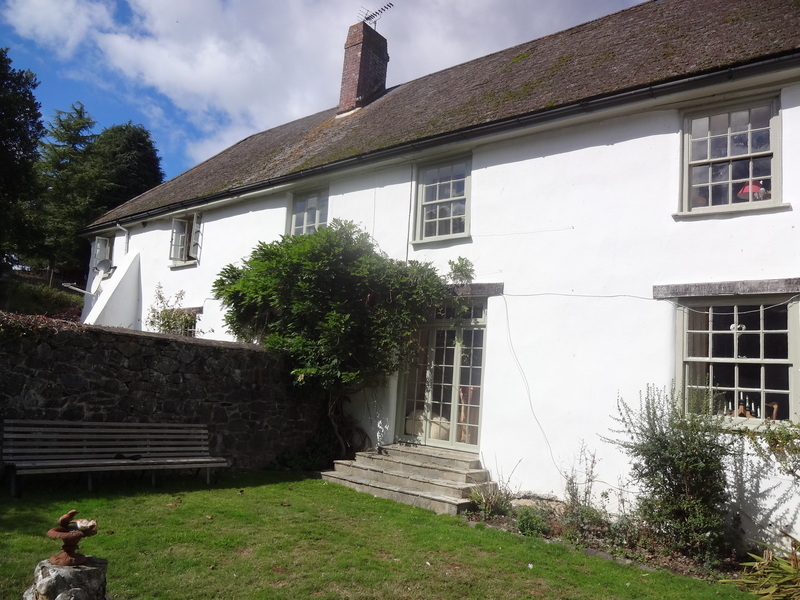 Nowadays many have been fixed up into large country houses or converted just to barns. The gorgeous new house which is a great deal larger than this picture suggests. Yup its the whole building…along with a “L-shaped” wing. Nine bedrooms altogether. 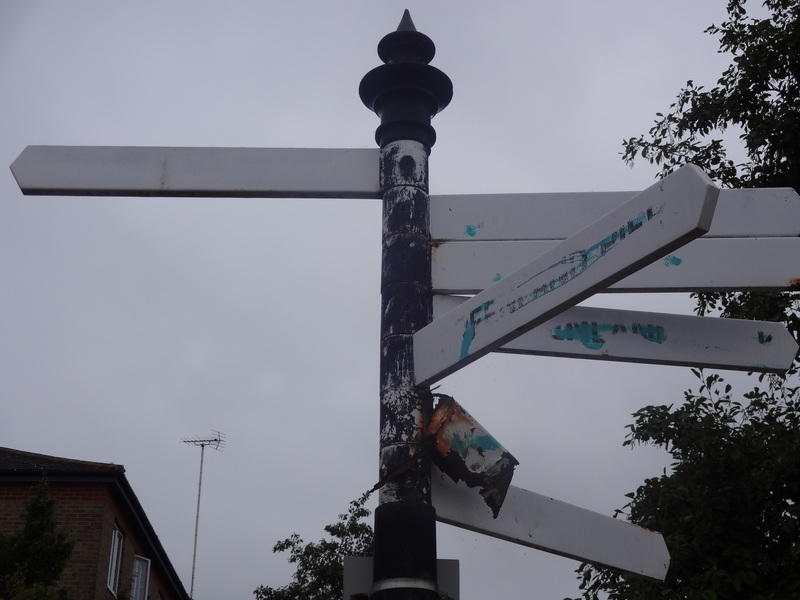 My memories of the area were like pieces of a jigsaw puzzle that hadn’t been fitted together. 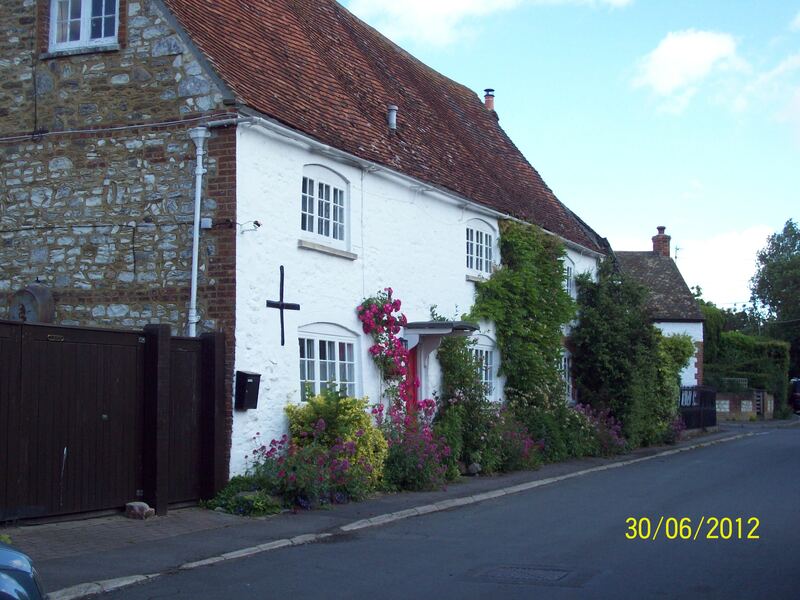 I remember the town where we rented a cottage, the little pub, the little church, and the narrow country lanes that connected it altogether. And it was all still there, just like I remembered. Charming and timeless. 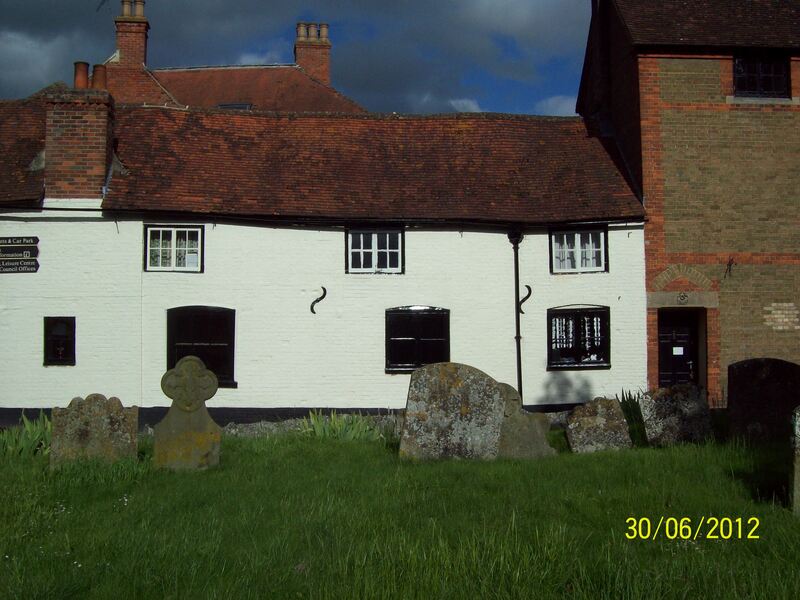 The Drewe Arms was still there too. 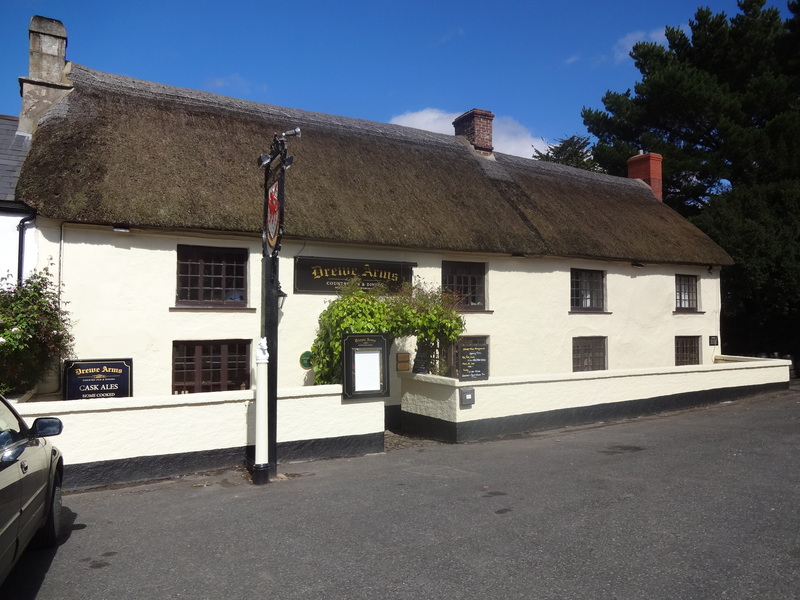 Back in the Eighties the pub was run by a ninety-something old lady who put the money for your beer or cider into a little cash box. There was no register – no bar either – and no service to speak of. You helped just yourself to your drink from the wooden barrels lined up against the wall. 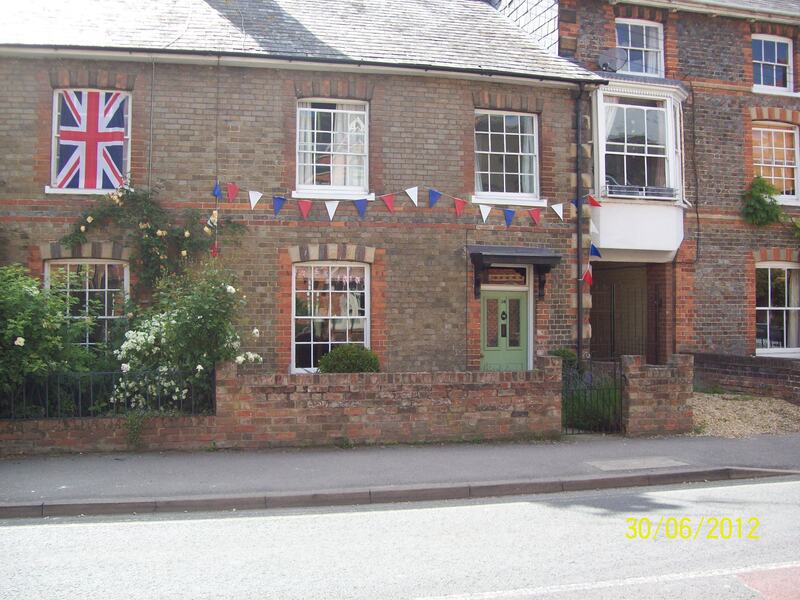 Today she has gone, of course, but I’m told the pub retains in original character. I would have liked to have sneaked a peek inside but unfortunately, we just didn’t have time to stop for a drink. 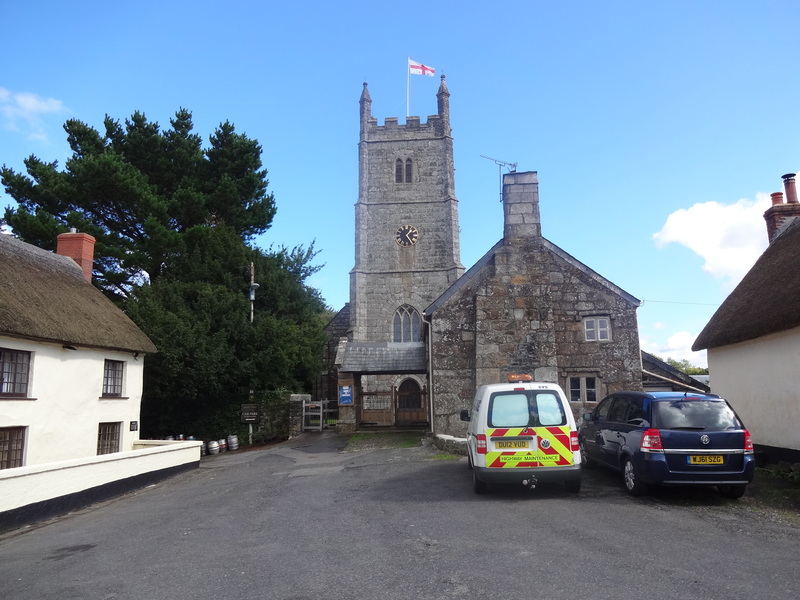 The beautiful, peaceful church yard. We walked around it many times in the cold of the Winter. 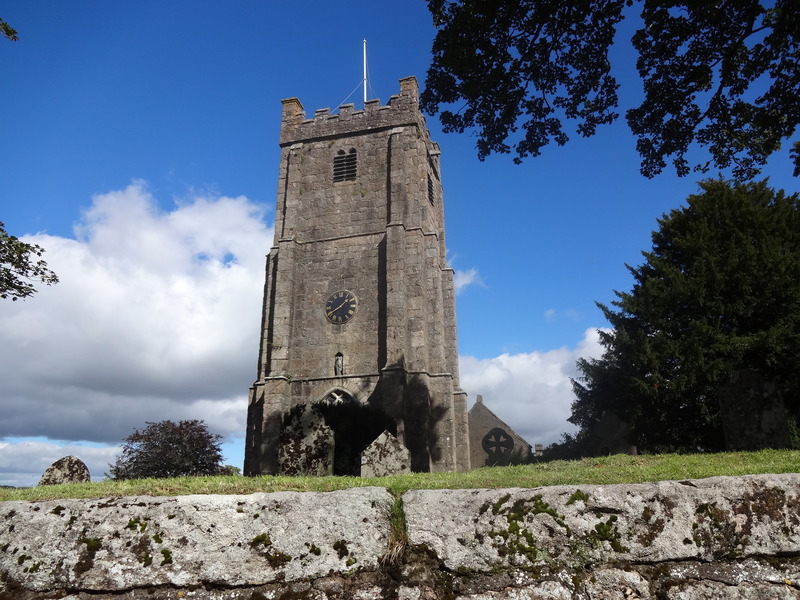 For me, the visit wouldn’t have been completed without a visit to Dartmoor. I’ve rarely been there in the Summer, usually visiting in the depths of Winter, when it can be incredibly cold, exposed and can freeze your face right off. But I do have a thing for moors in general. 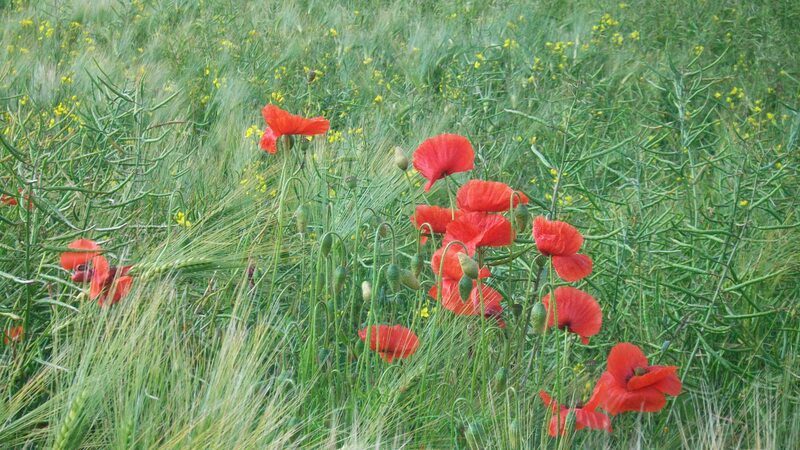 I love their wildness but I fear them too. 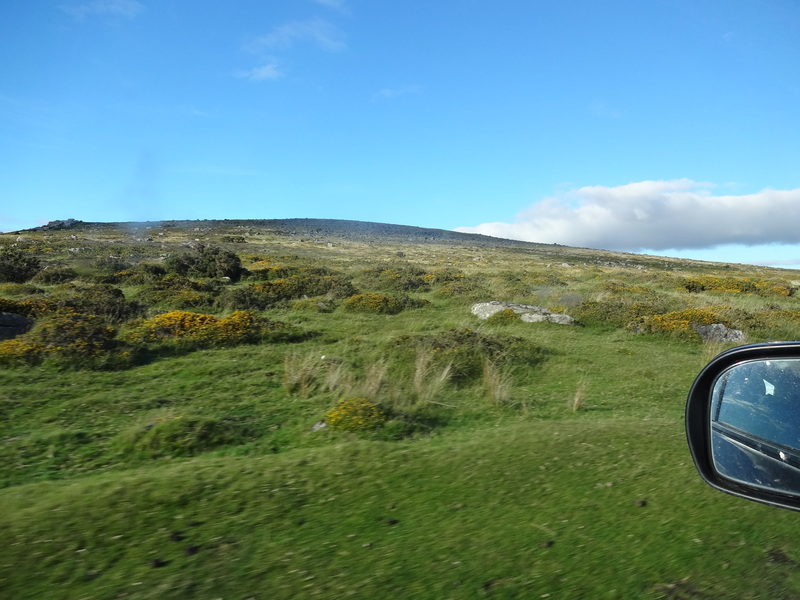 On Dartmoor you can ride right through them by car and on a sunny September day with no rolling fog, there was just scenery and sheep to enjoy. 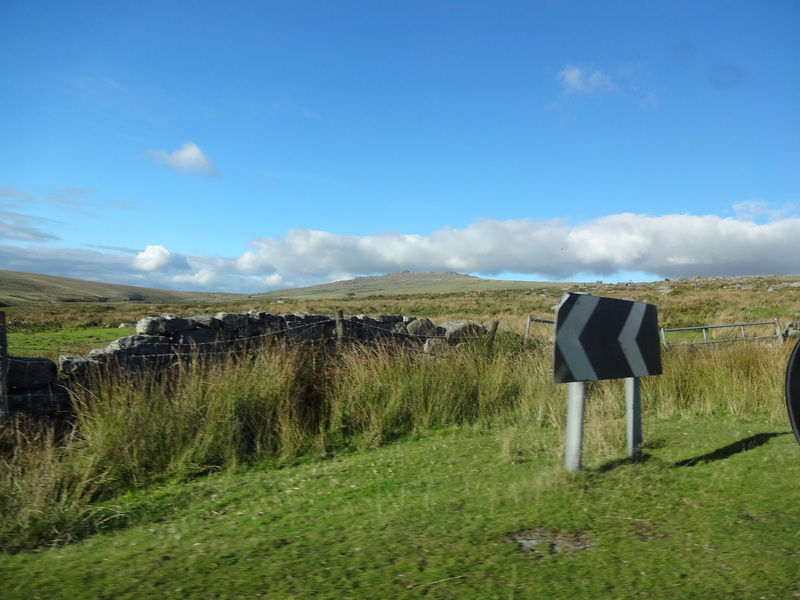 A fleeting glimpse of Dartmoor from the car. 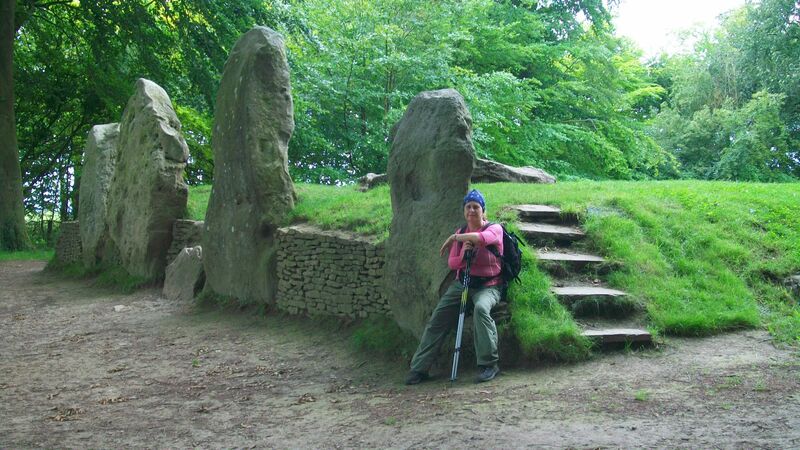 Must add the “Two Moors Way” to my hiking itinerary! 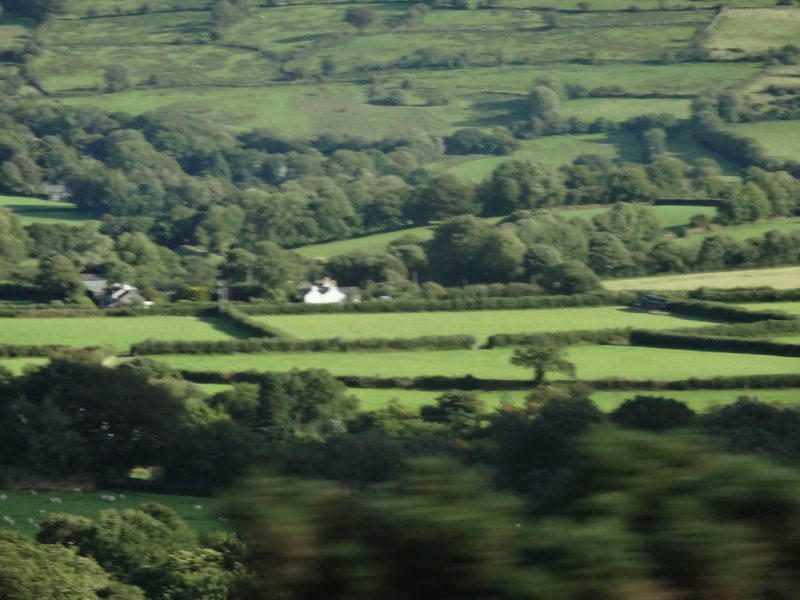 Its only when I come back to England that I remember how much sheep are a part of the countryside. Katie has over 200 of them on 100+ acres of land and I barely had time to get out and meet them. But I loved my short visit and seeing their new home and I thought about the prospect of returning to my new home in Kathmandu. A lovely corner of the world. A couple of Katie’s beloved “Bluefaced Leicesters”! 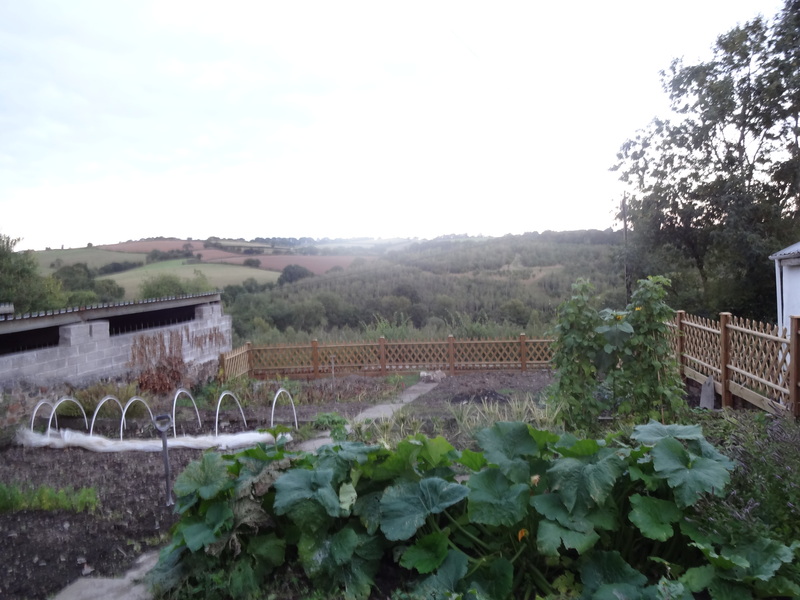 My favourite corner of the farm….the vegetable garden. Past its best in late September, it was still producing late Summer vegetables. Beautiful loam and a beautiful view. I wish I had one of these in Kathmandu!